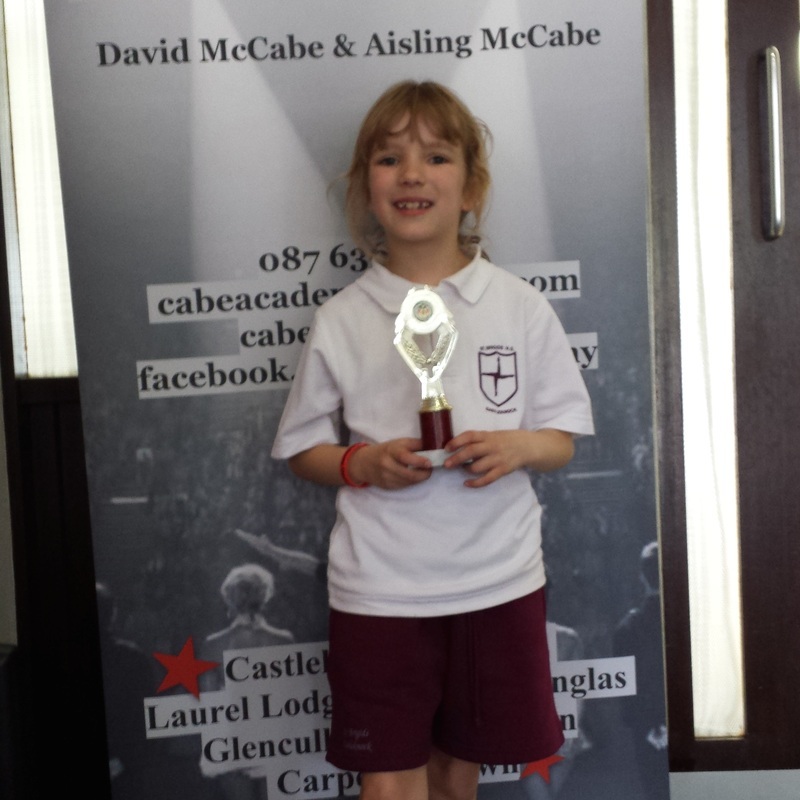 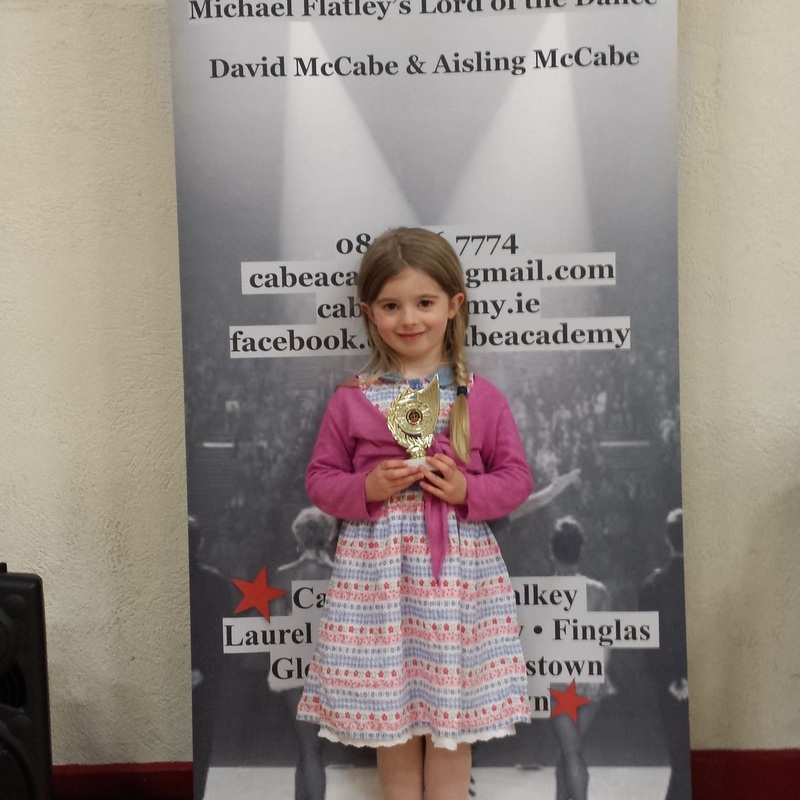 Very proud of raising €845 at the Class Feis in June. 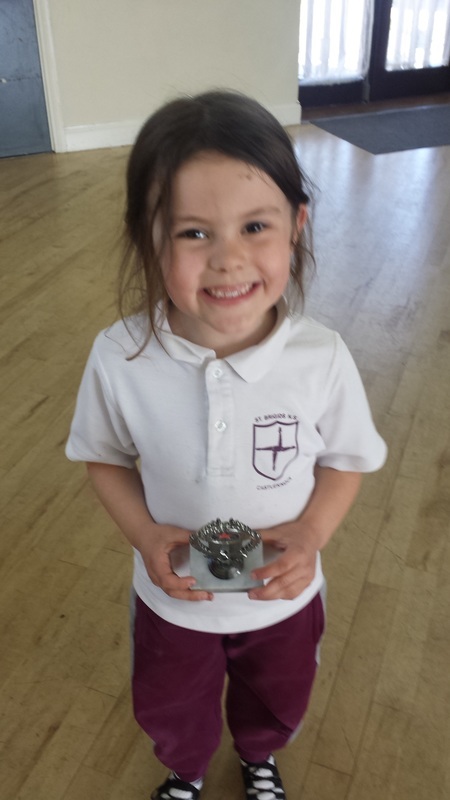 Thank you to all the parents and volunteers that ran the Cake Sale on the day and all the families that cooked and baked cakes and treats for everyone to buy. 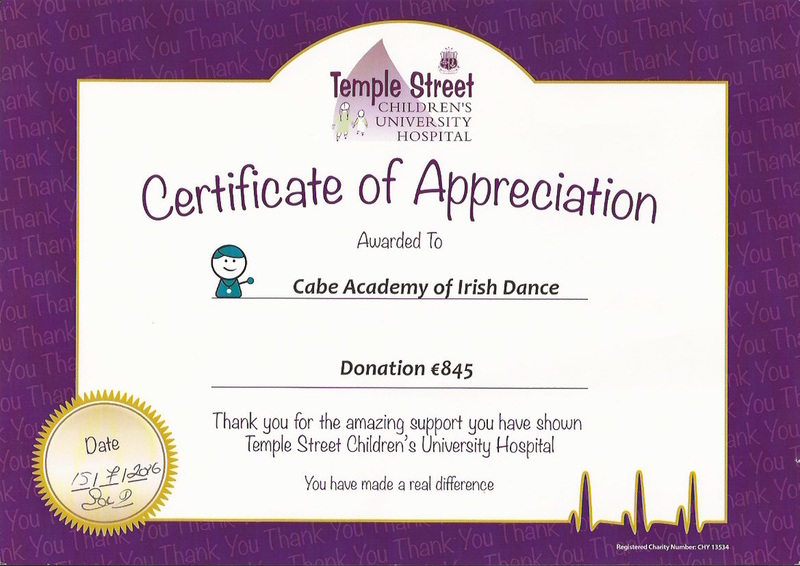 Thank you for all your support in raising this amazing amount. 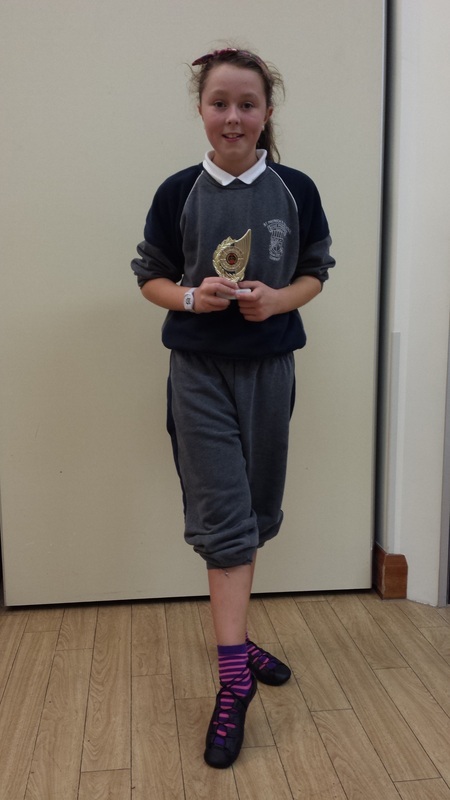 Thank you, thank you, thank you!!! 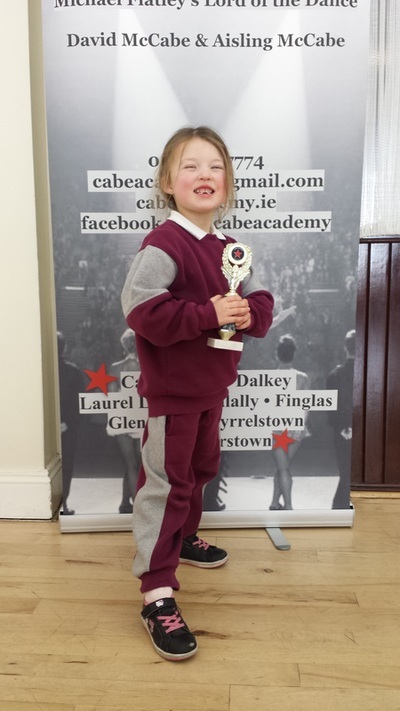 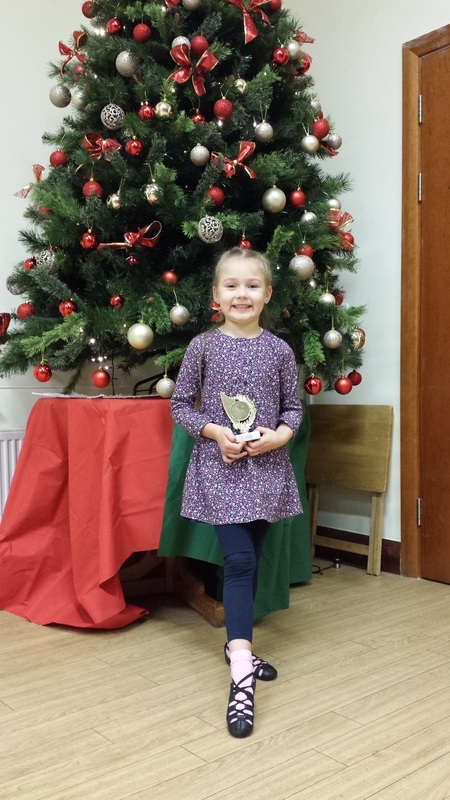 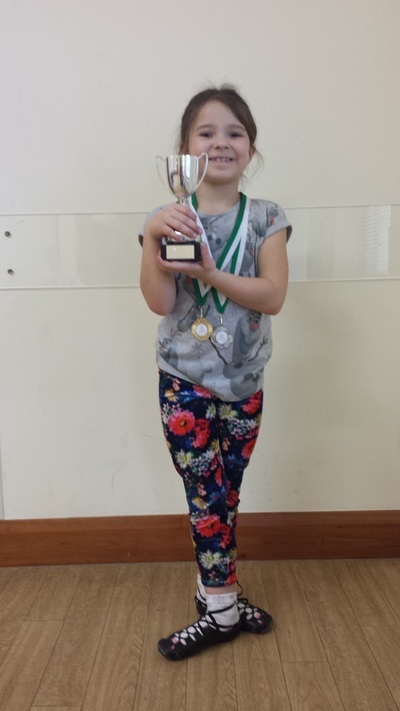 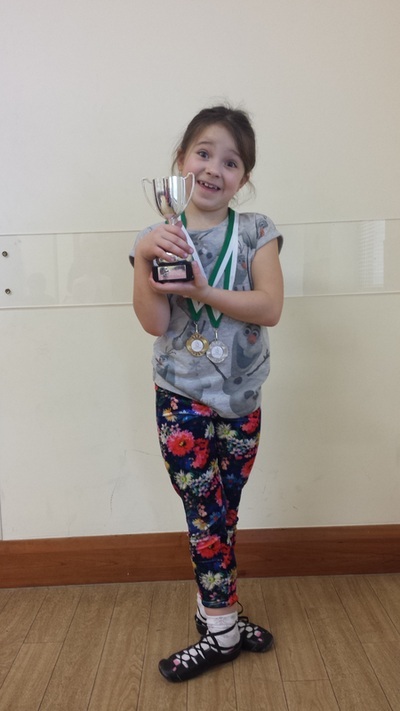 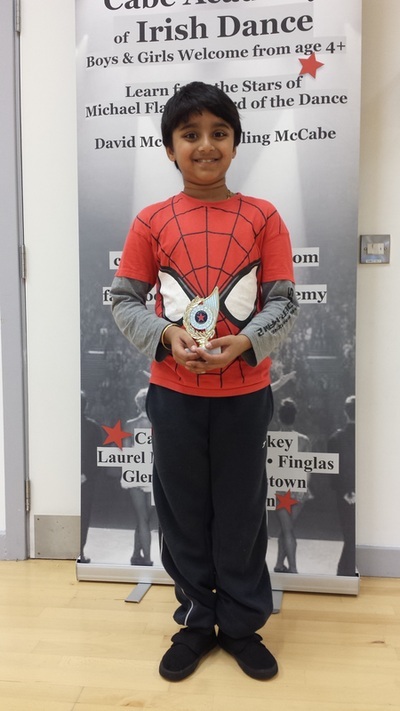 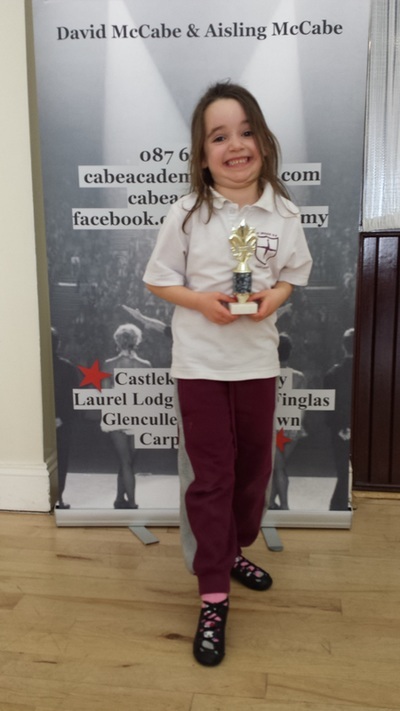 We love to see the excitement in the children's faces when they win the dancer of the week trophy....Wonderful!!! 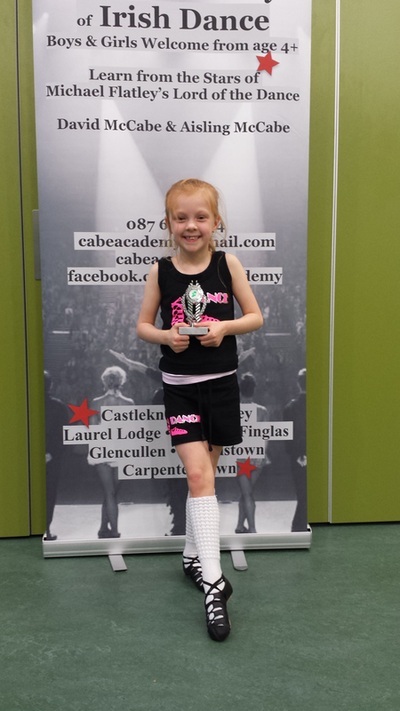 A little shout out to our Dancer of the Week winners - well done everyone - getting better week by week!!! 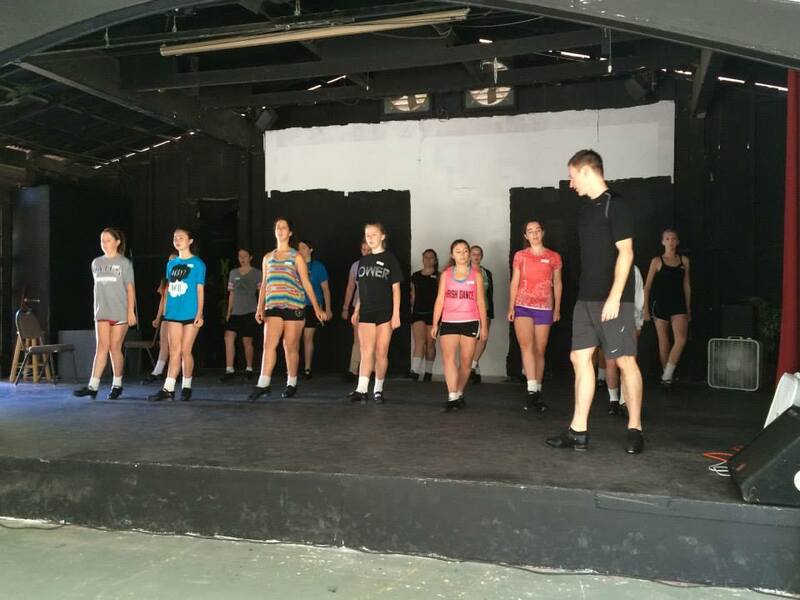 We just want to give a shout out to these amazing dancers. They worked really hard and deserve a little recognition for being so good in class.... Well done everyone!!!! 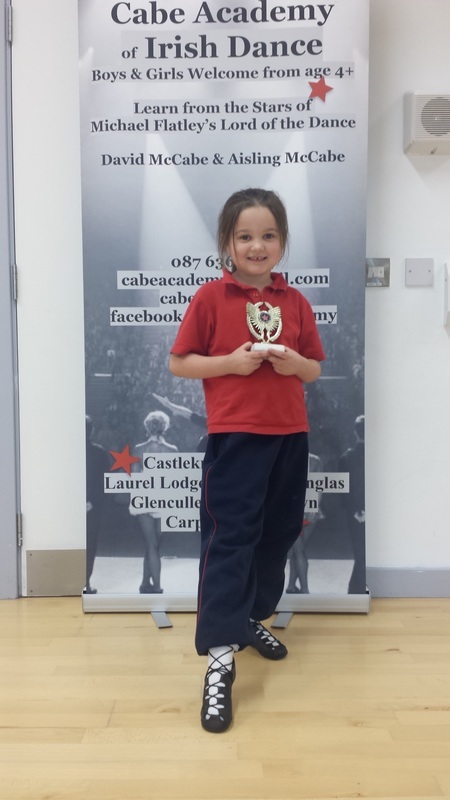 Dancer of the Week - Catchup!! 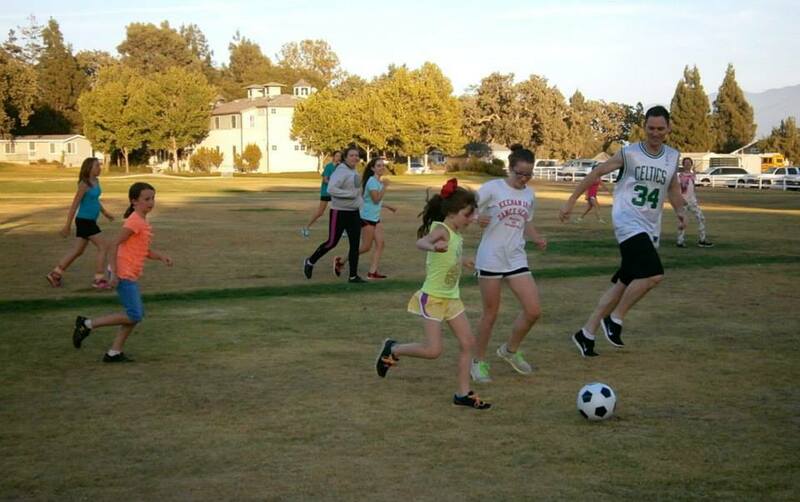 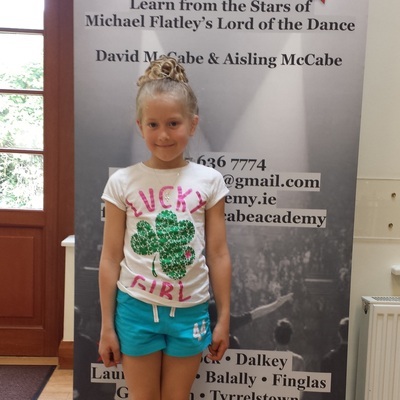 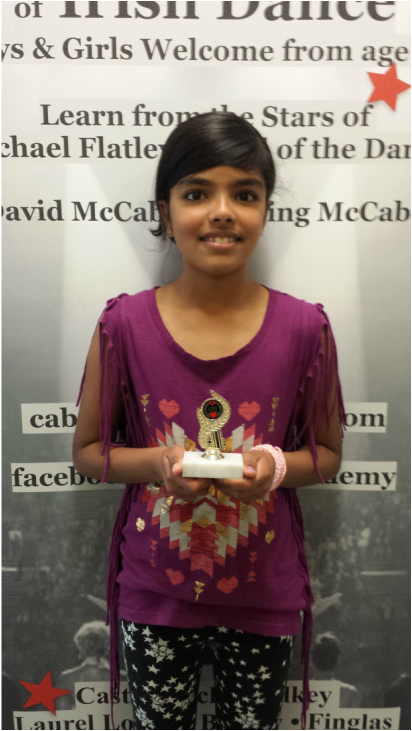 These awesome Cabe Academy Irish Dancing students made huge progress over the last few weeks! 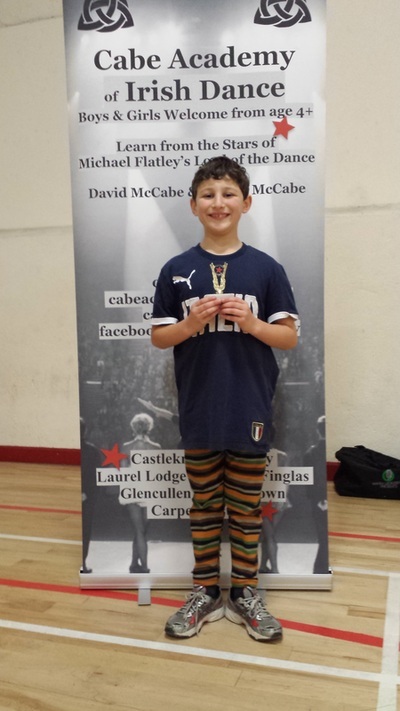 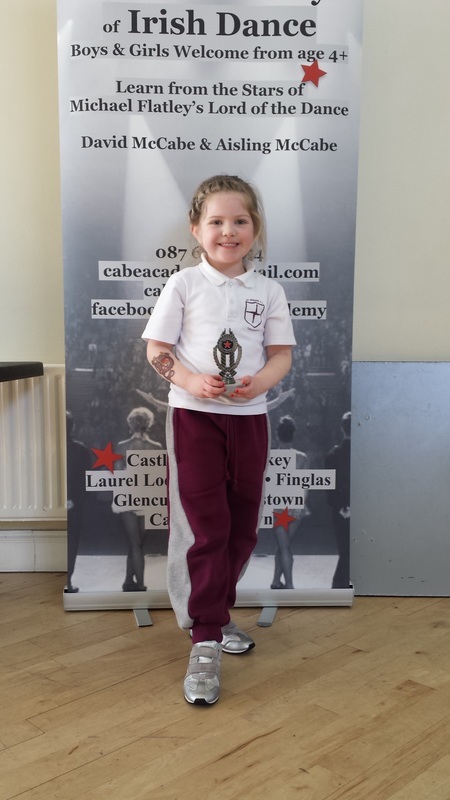 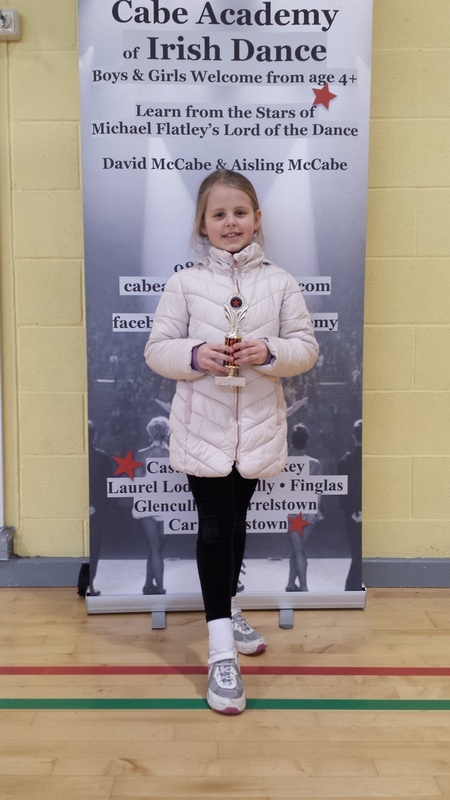 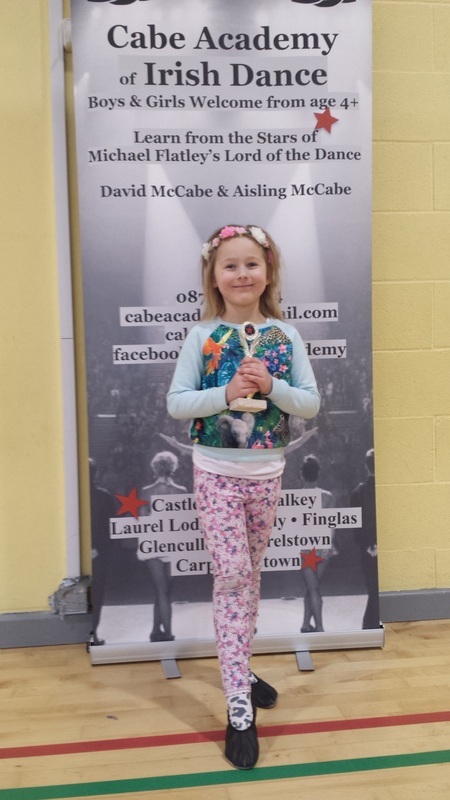 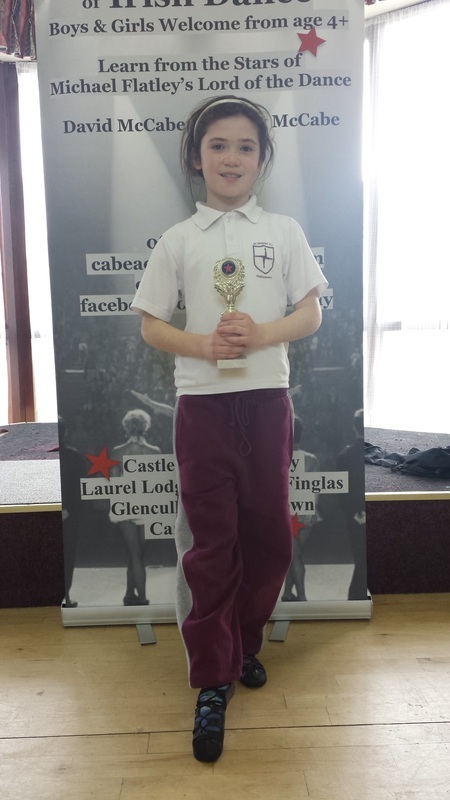 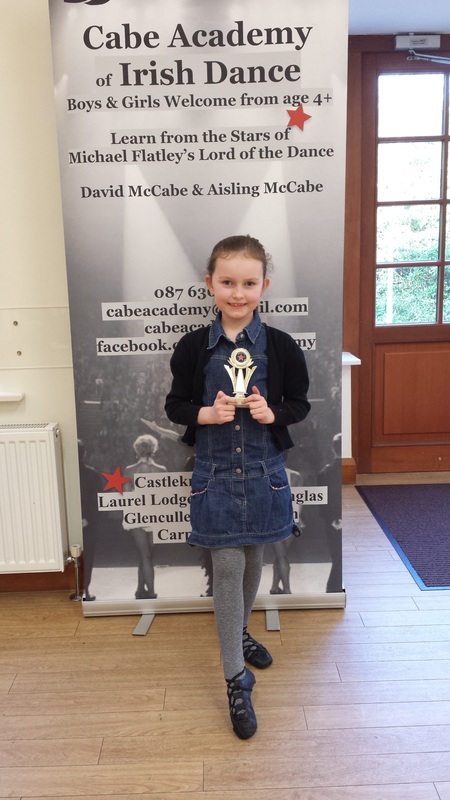 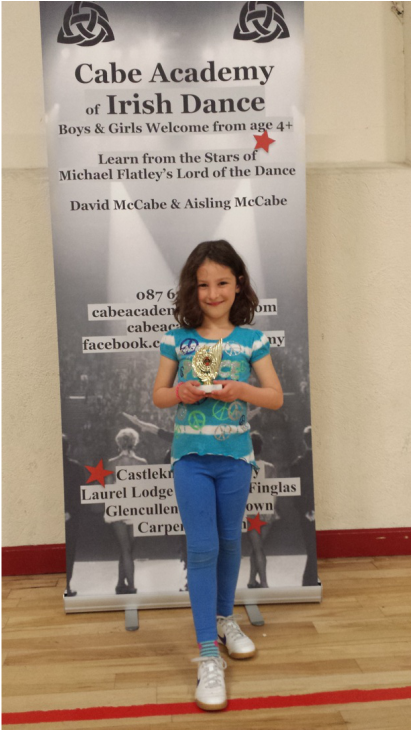 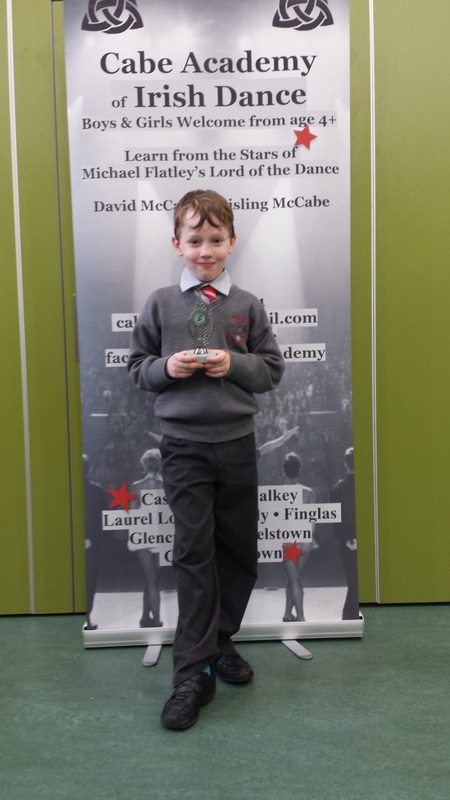 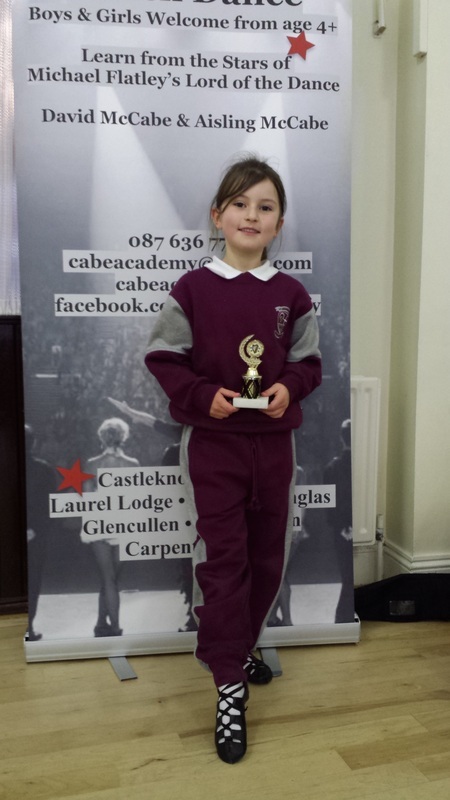 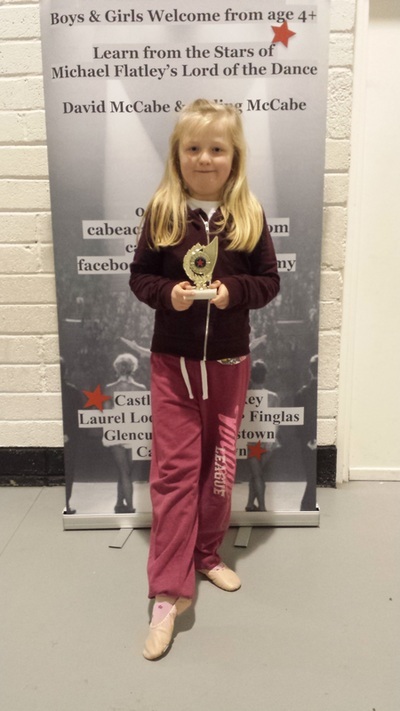 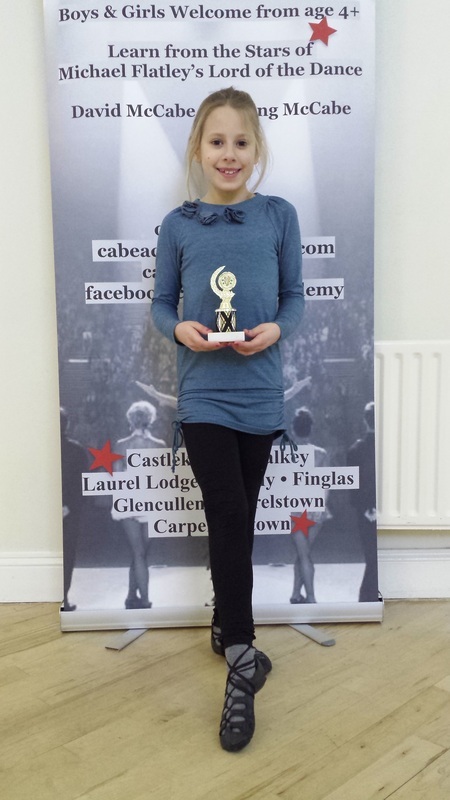 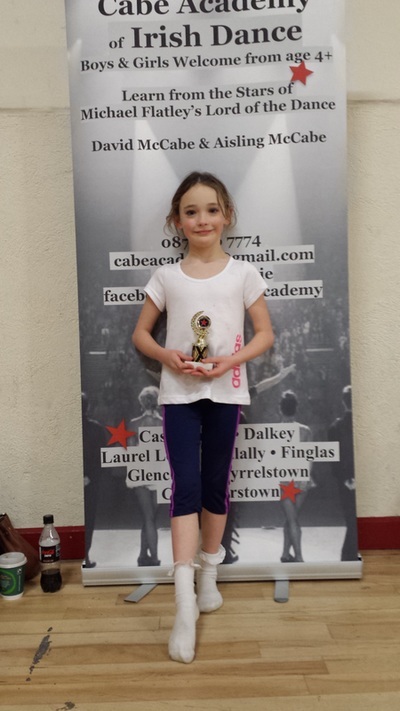 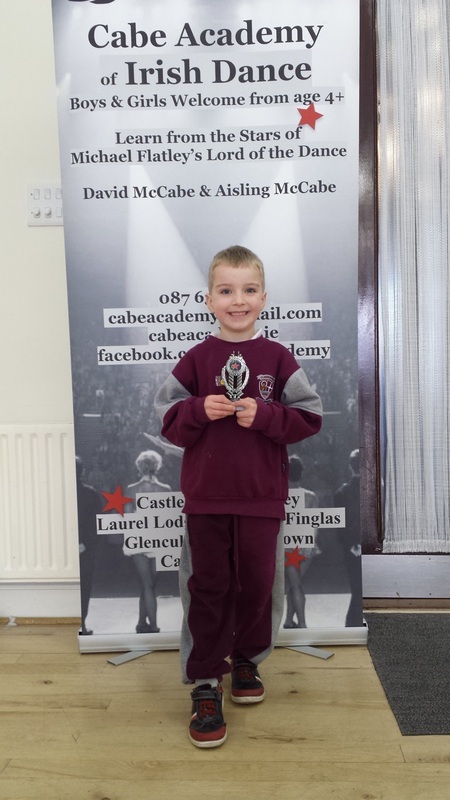 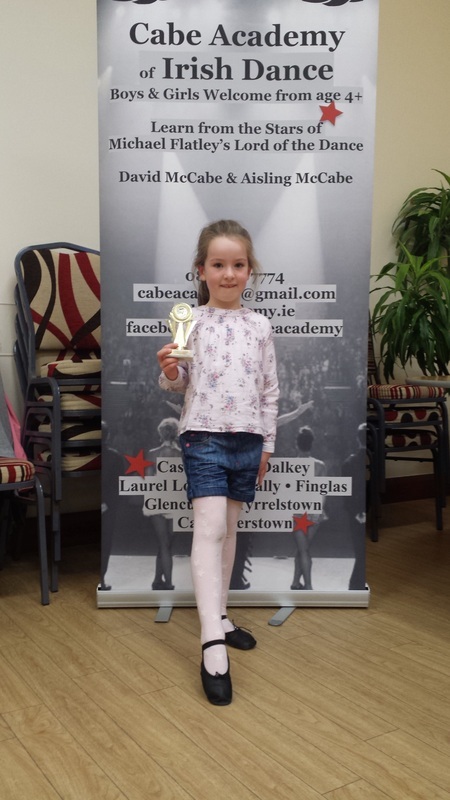 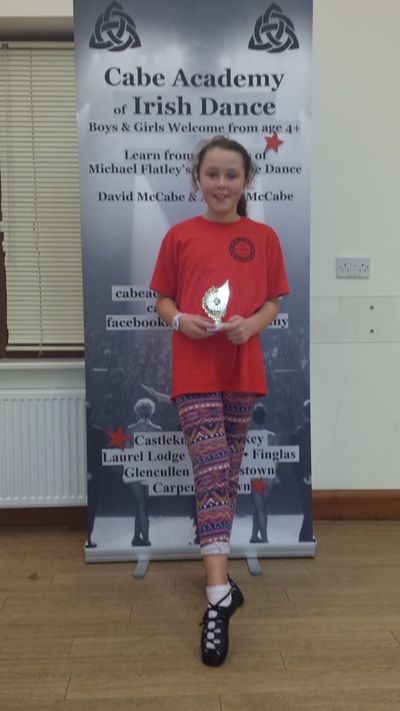 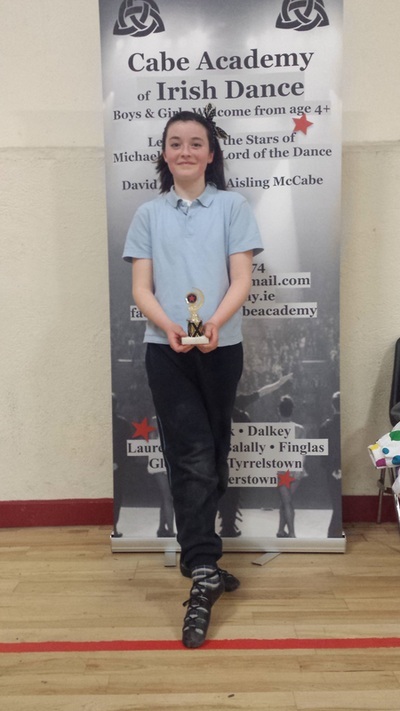 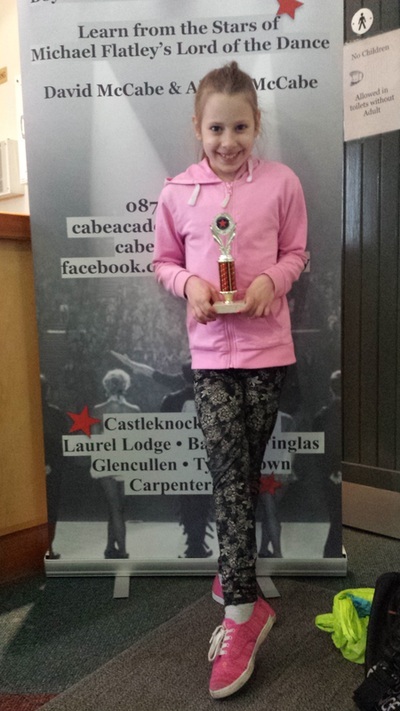 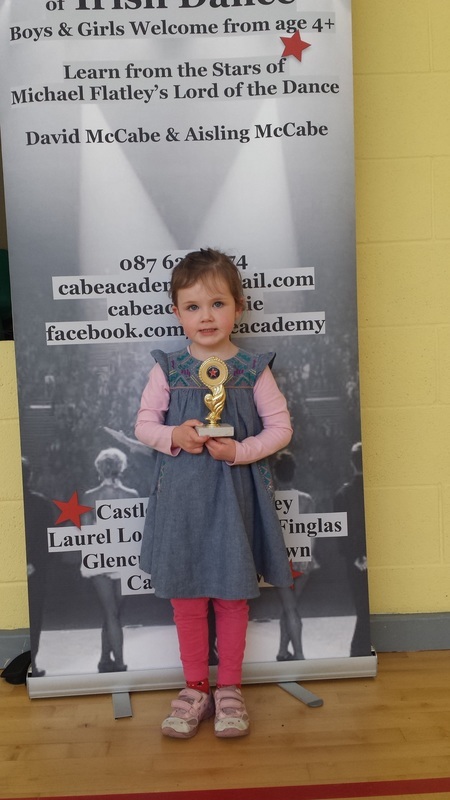 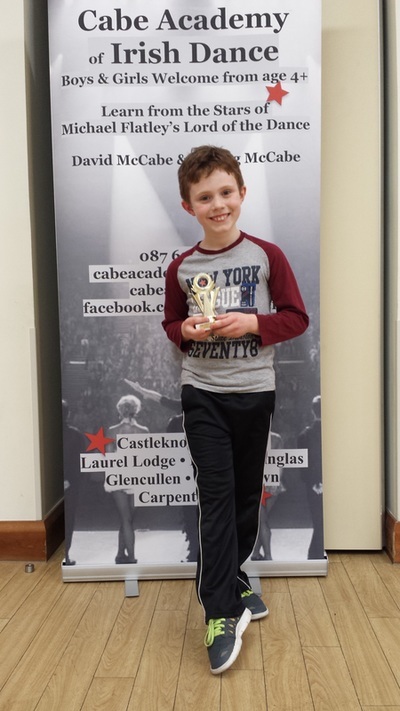 We have a little catch up of "dancer of the week" from the last couple of weeks, some pictures of our Luttrellstown Castle performance. 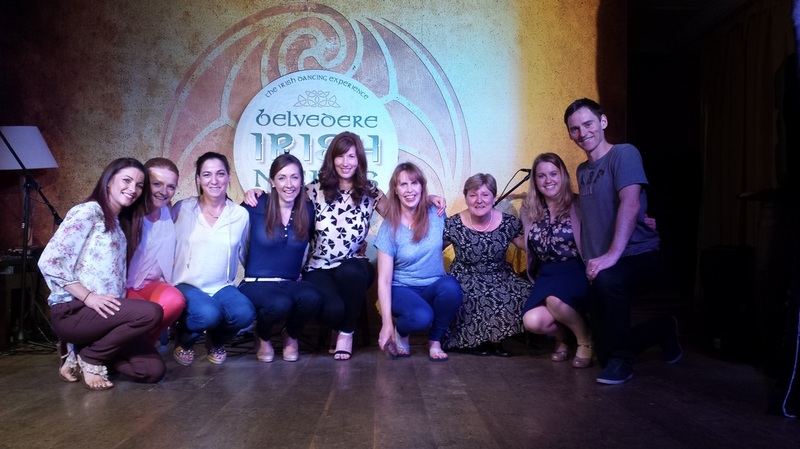 and a couple of pictures of our Cabe Cardio Ceili Adult class at our Irish Nights performance in the Belvedere Hotel. 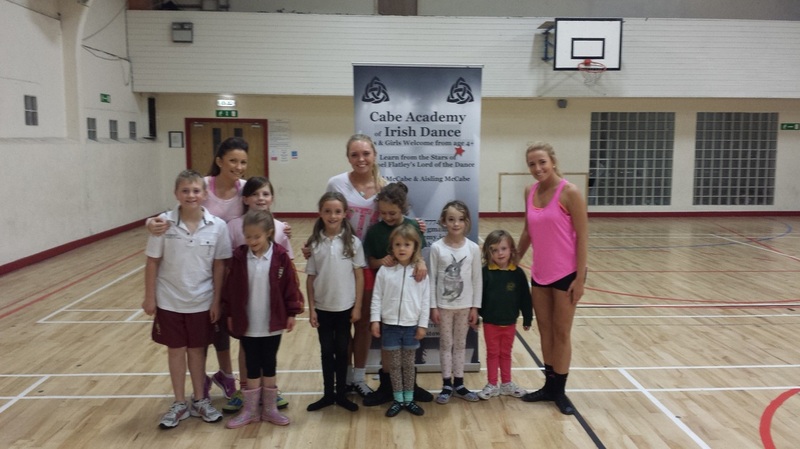 Great to have some of our Cabe Cardio Ceili class come and see us dance. A little shout out to the girls below for being brilliant in class. They all won dancer of the week in their classes. 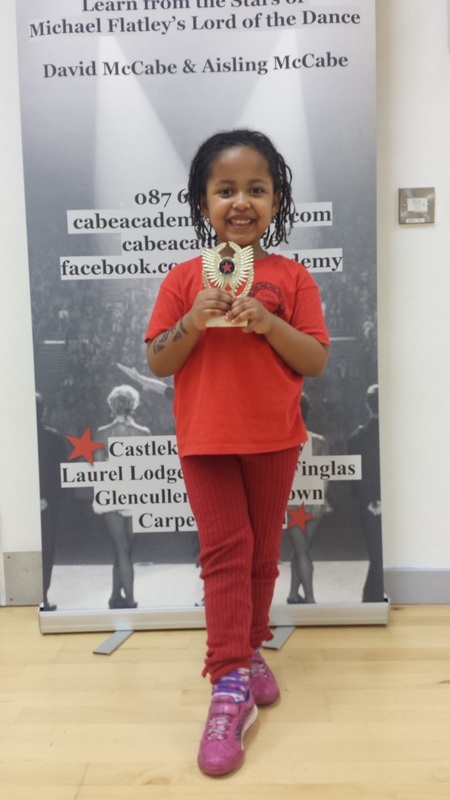 Their focus and hard work in class does not go unnoticed and they are coming on so quickly because of it. 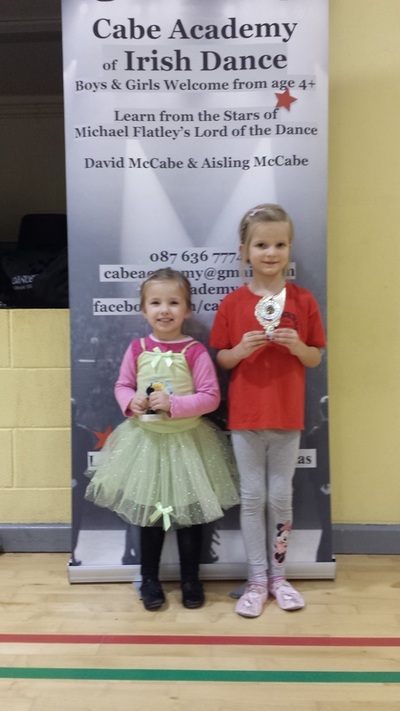 So well done girls, you make us proud. These 2 little stars below performed at Luttlrellstown Castle and they were amazing. 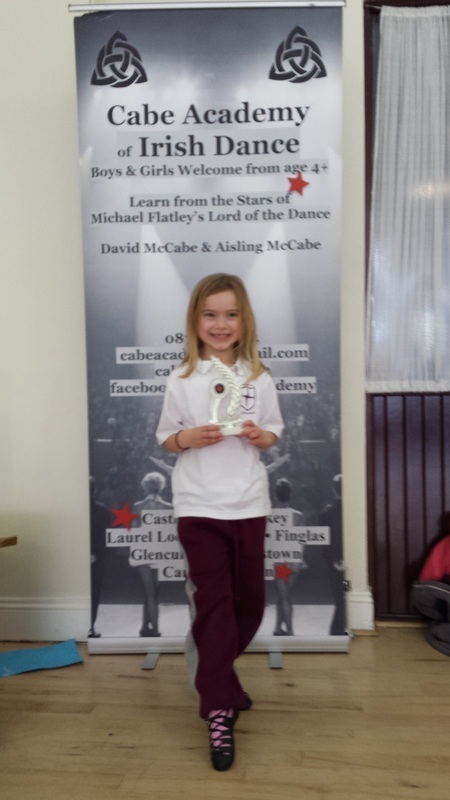 There was actually 3 of them so when I get a picture of our 3rd little performer I will post it here. 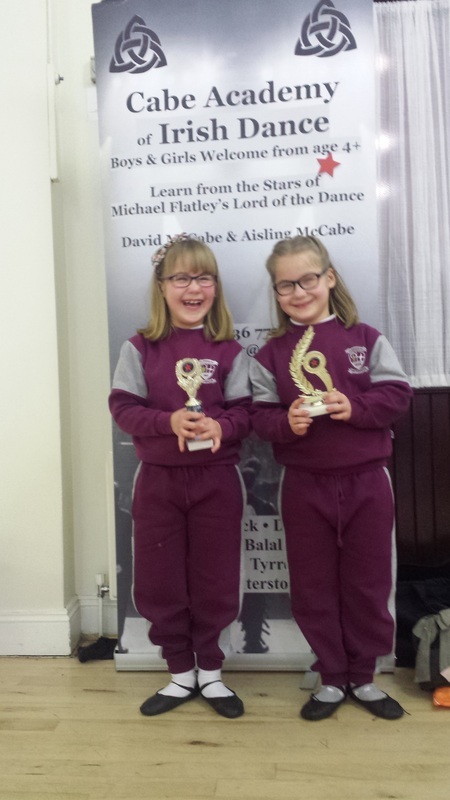 Well done girls, you shone on stage, and and made us really proud. 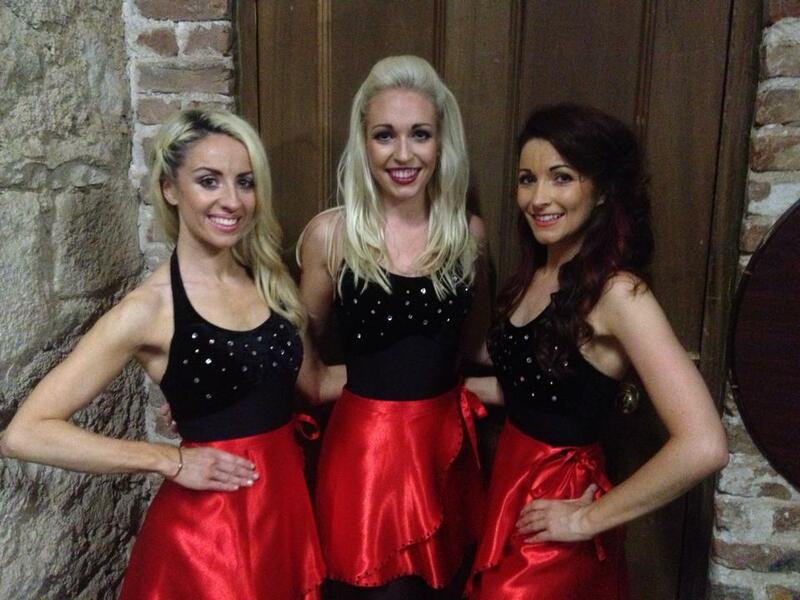 Please keep up the hard work, these little gigs are so much fun and we're so happy you got to experience them. 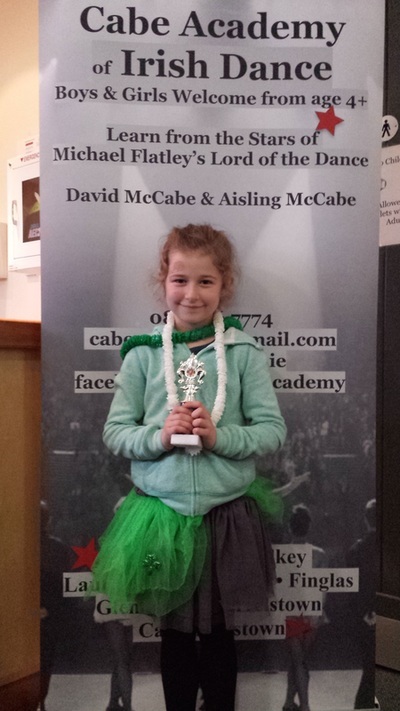 We also have to the right, the new Fingal Mayor, Mags Murray. 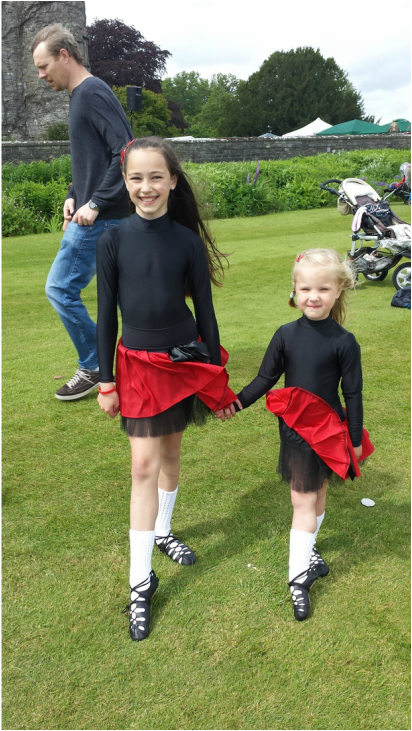 Below we have Mariam Elbadri, Miriam Lee and Aisling McCabe before their amazing performance at Powerscourt House and Gardens. 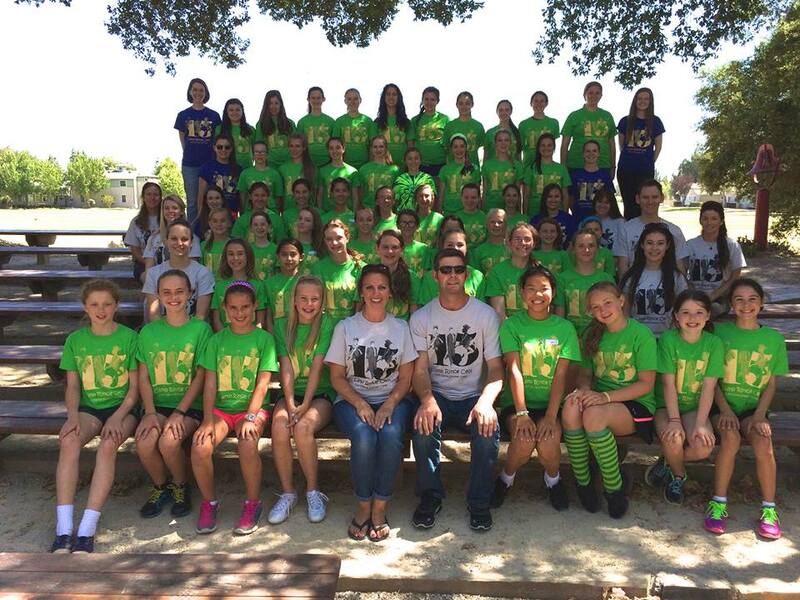 Great job ladies!!! 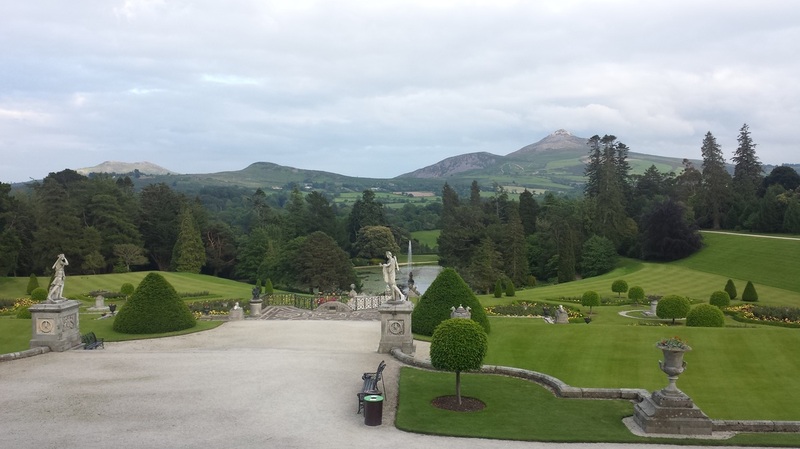 A beautiful picture of the gardens from Powerscourt House. 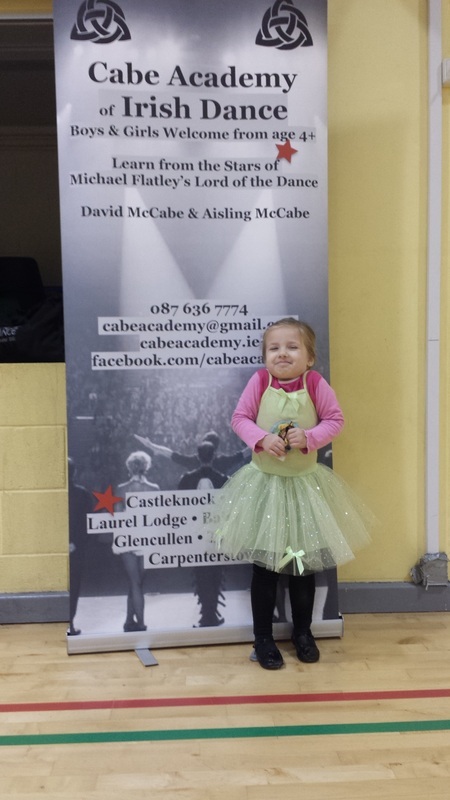 I'd recommend everyone to go and visit this place. 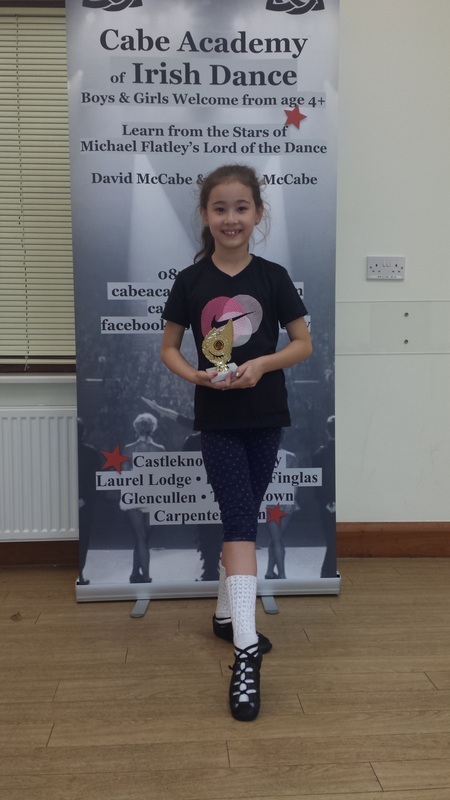 After watching Michael Flatley on ITV last night with "Michael Flatley A Night To Remember", it reminded us of why we love Irish dancing so much. 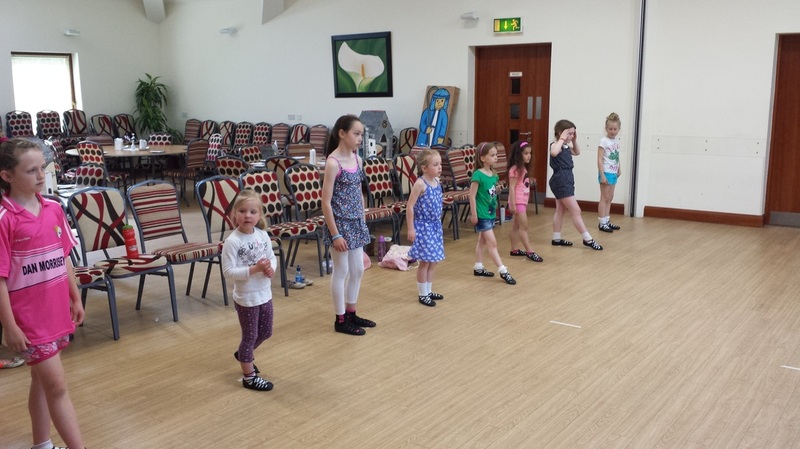 It brought back so many fantastic memories watching Michael and the cast perform, and we really hope our little dancers got to see it. 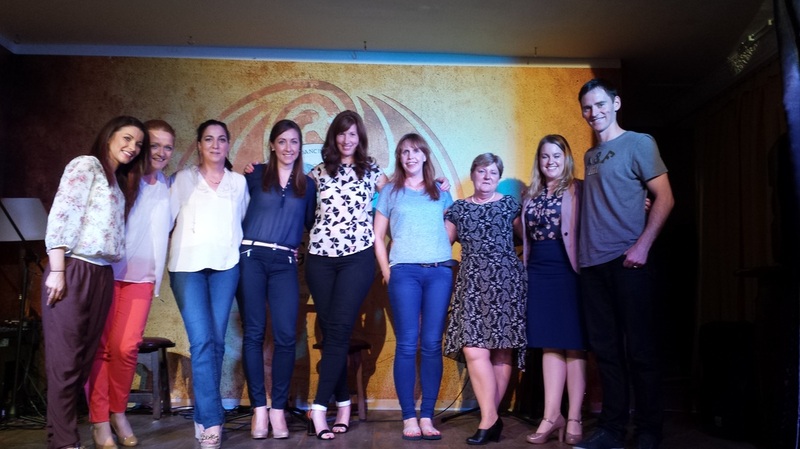 If you didn't you might be able to catch it on ITV player. 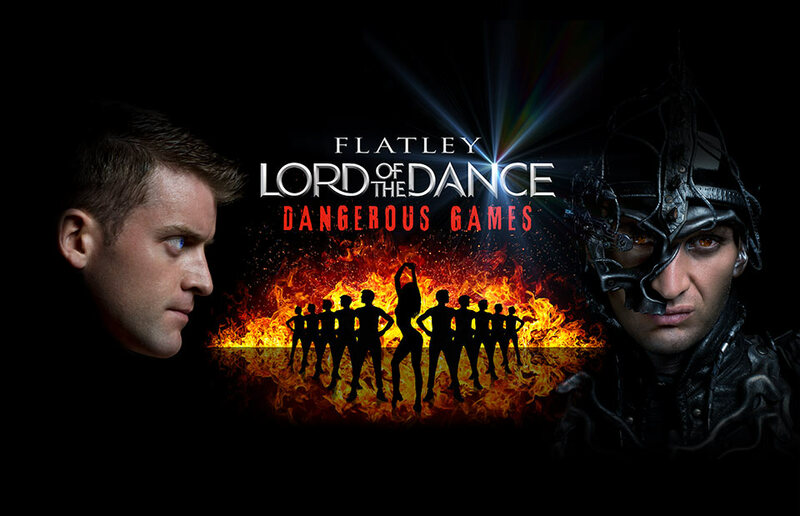 They also performed a number from the new show - Lord of the Dance Dangerous Games - with Nadine Coyle singing and the lads dancing in the background. 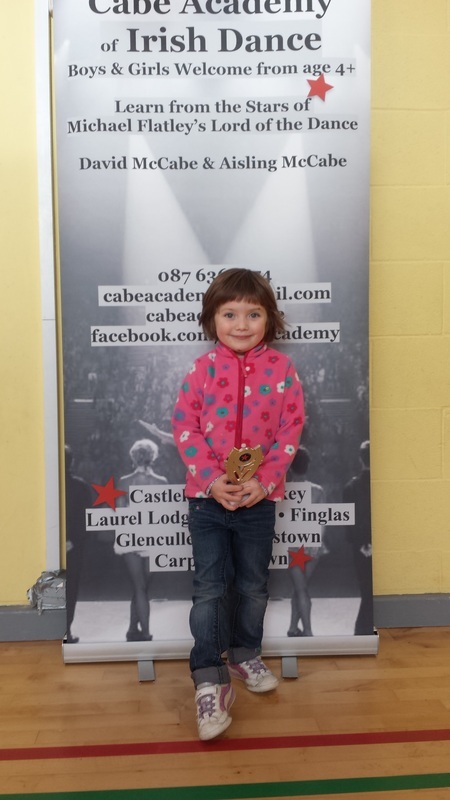 It was great and we can't wait to see the whole show. 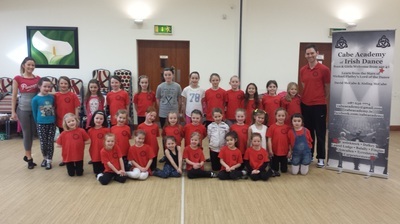 They'll be in the O2 on the 27th March next year. The poster below features James Keegan and Thomas Cunningham, two top class performers and really good friends of ours. 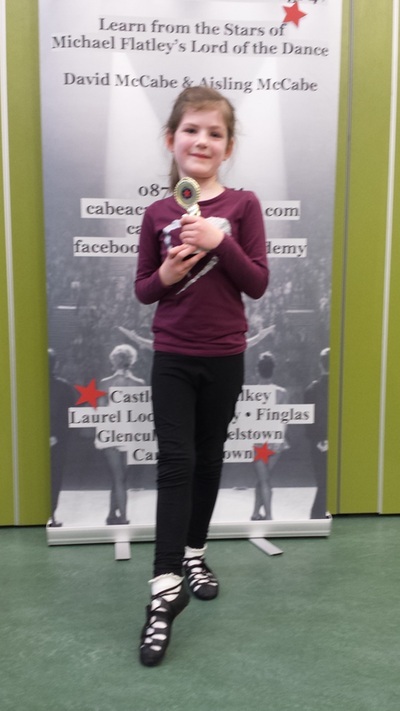 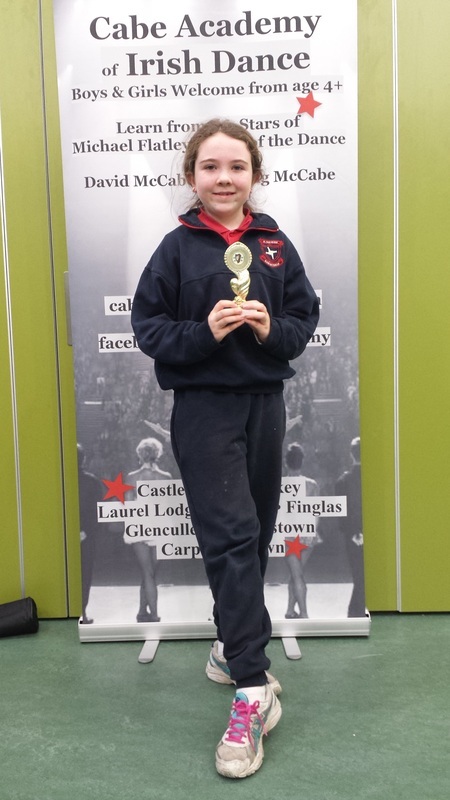 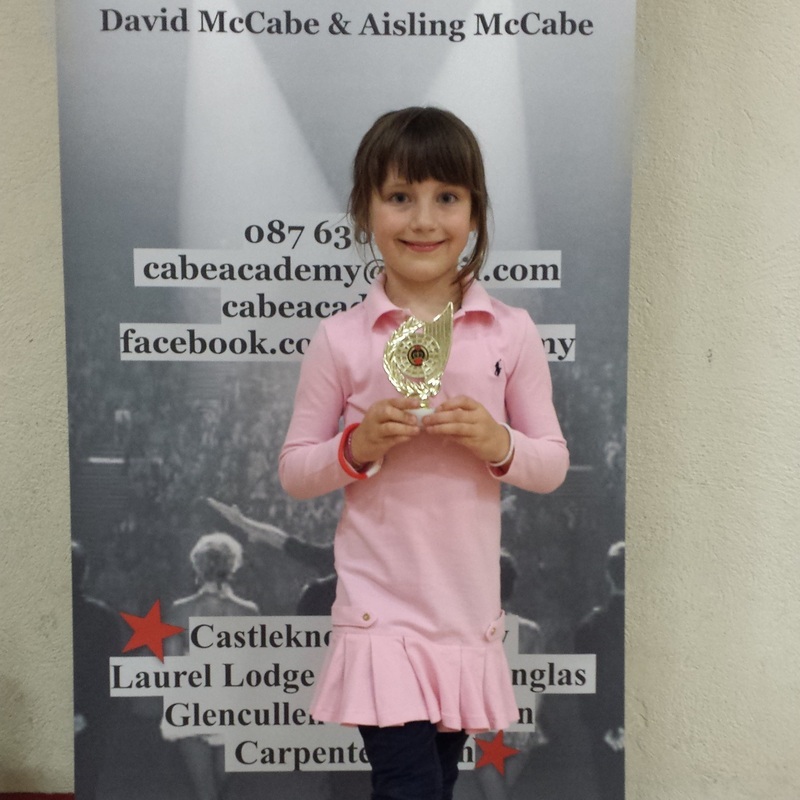 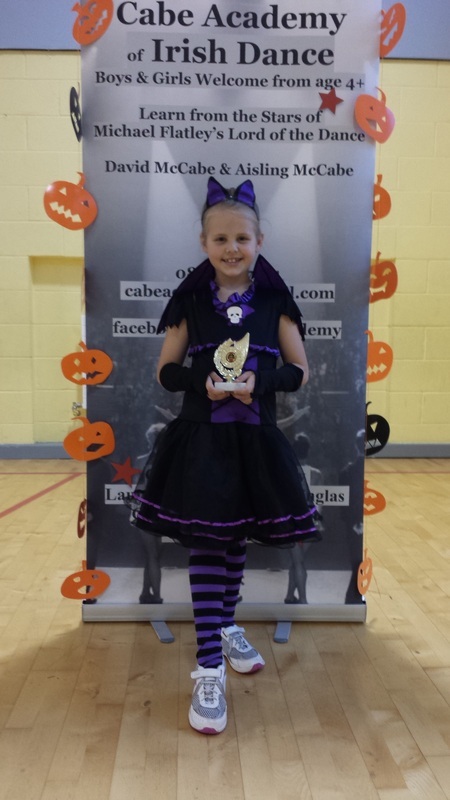 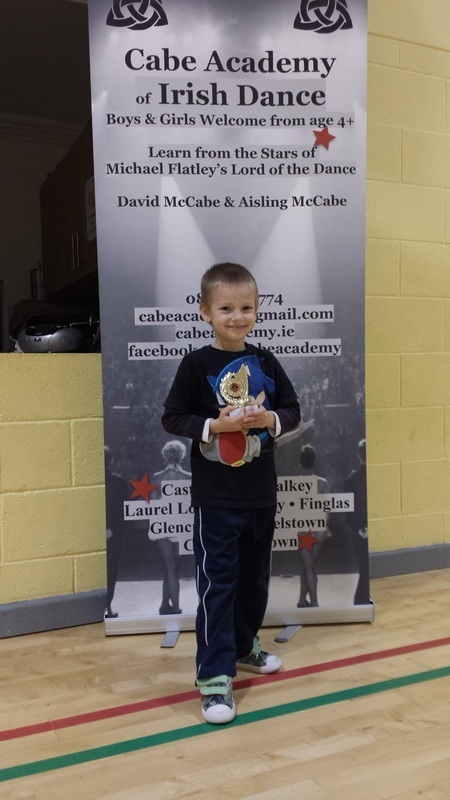 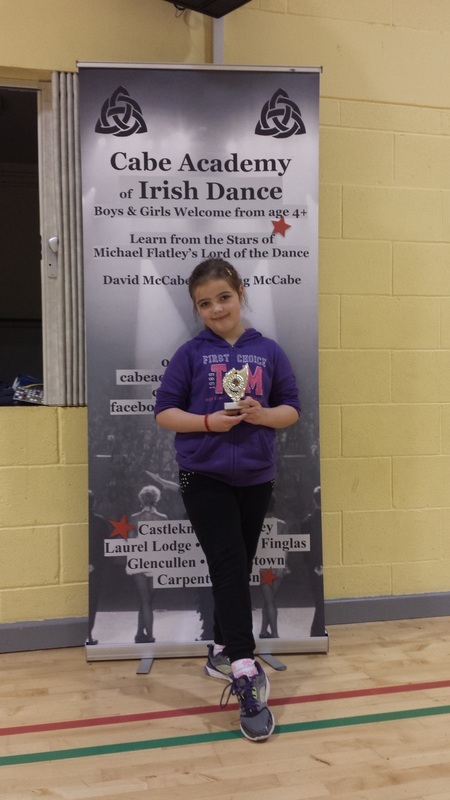 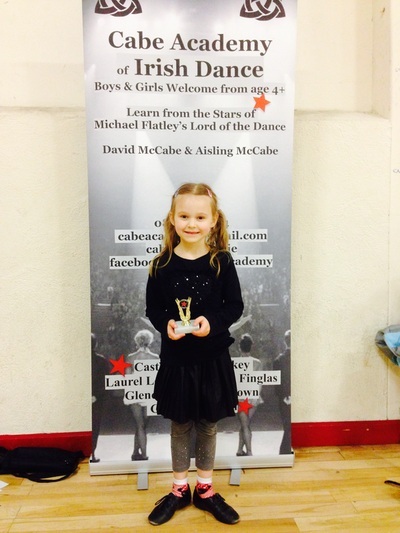 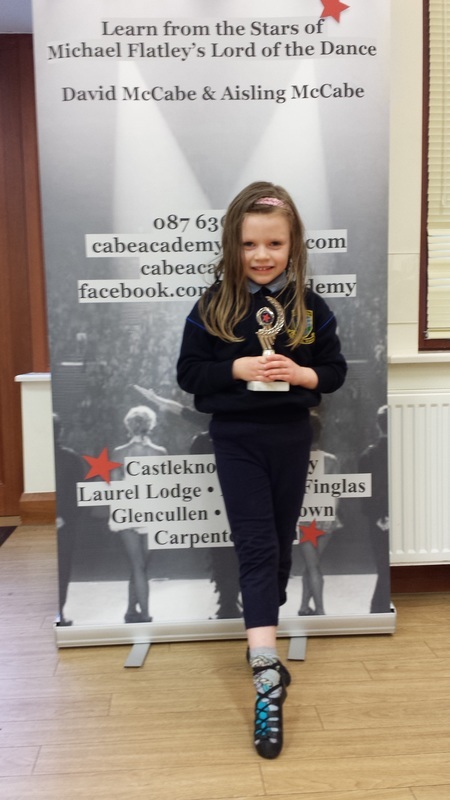 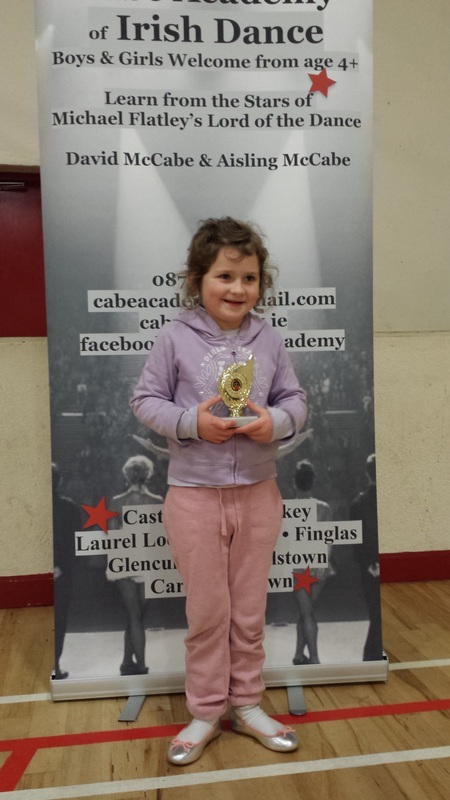 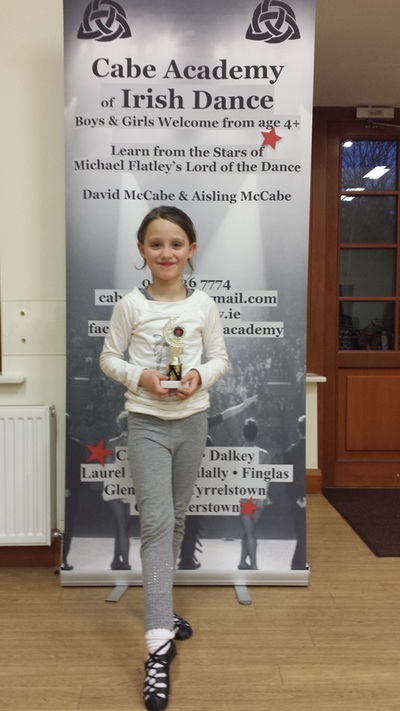 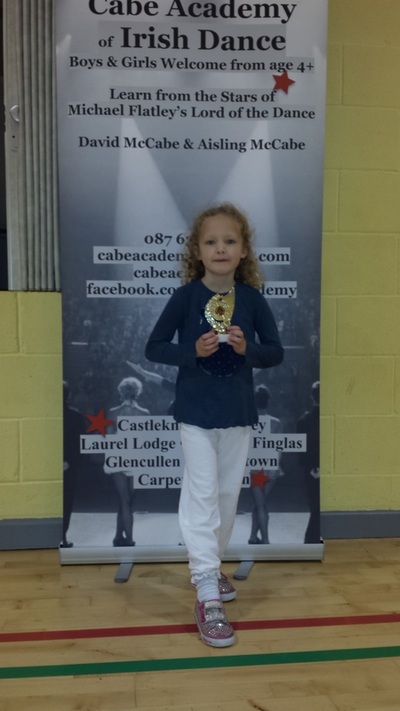 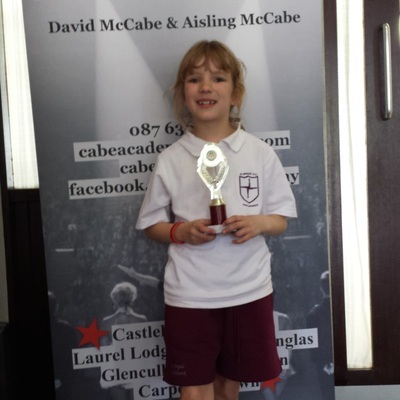 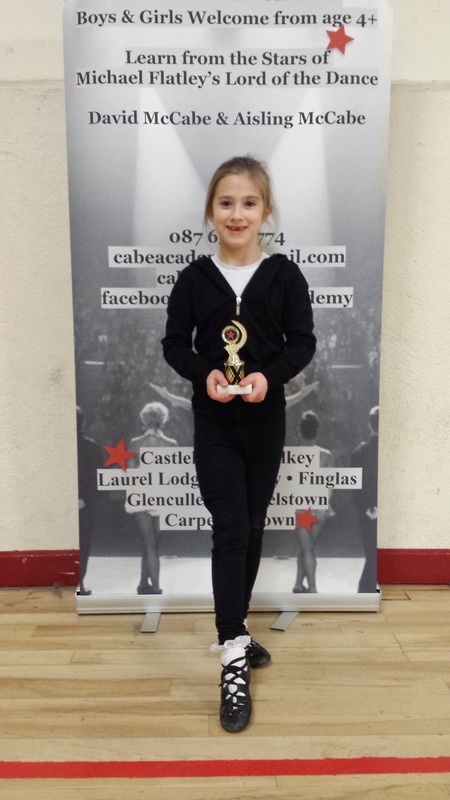 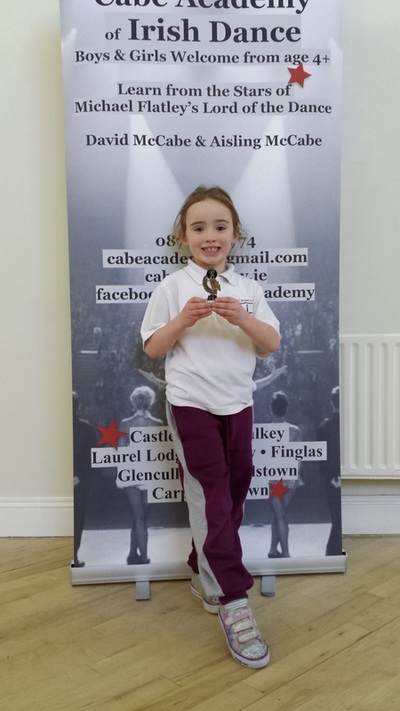 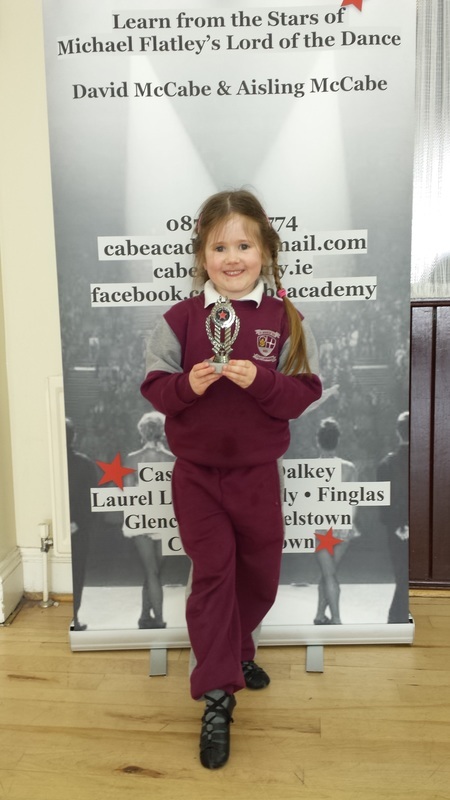 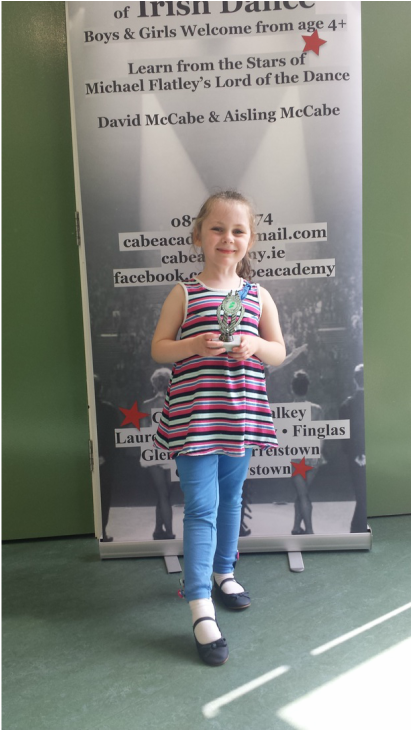 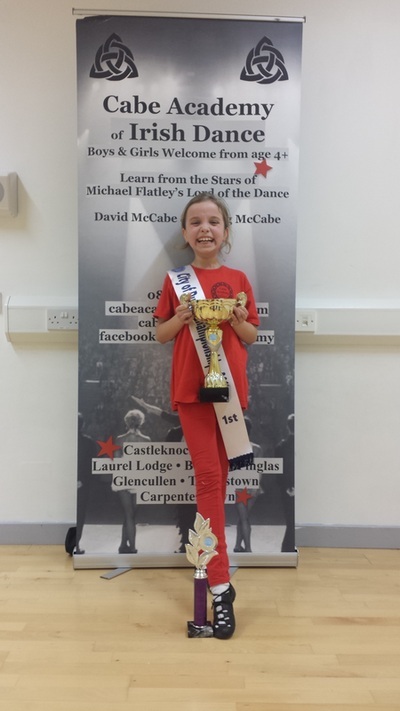 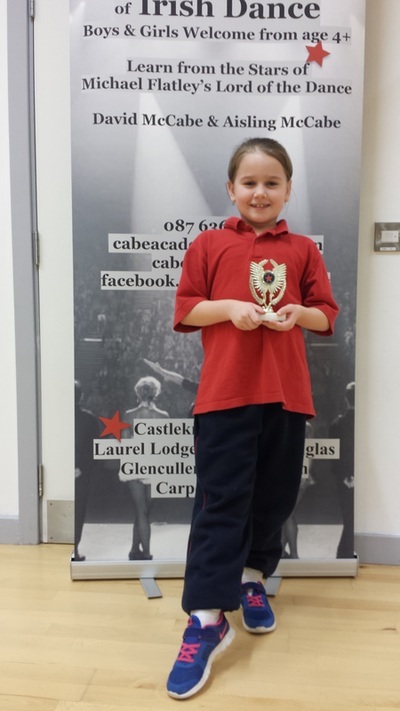 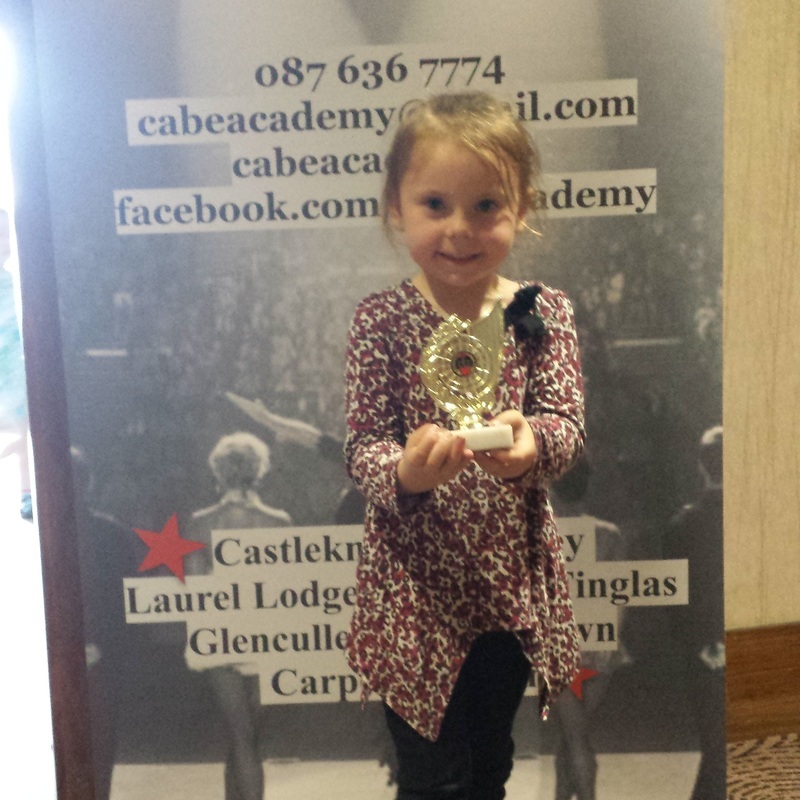 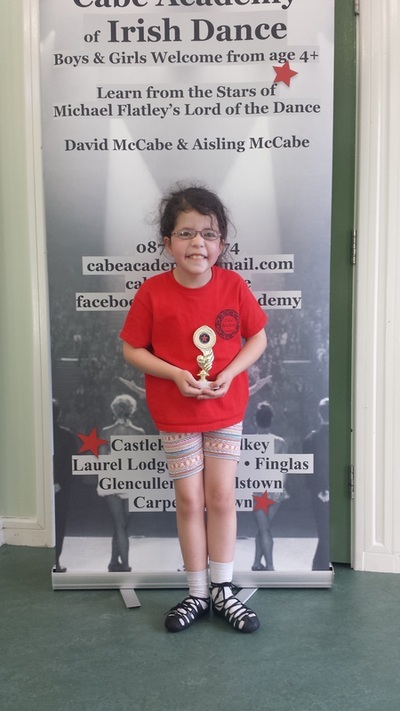 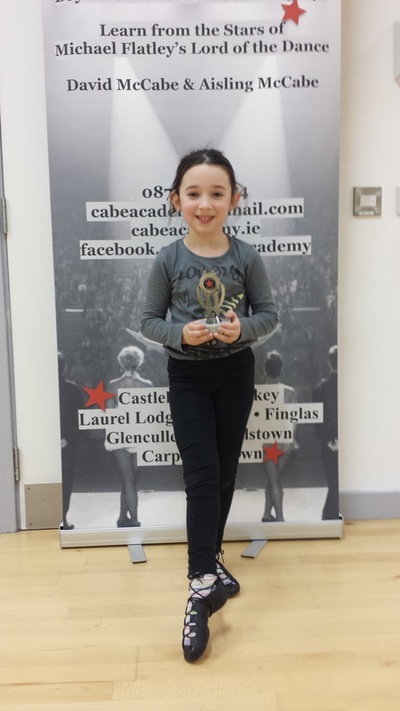 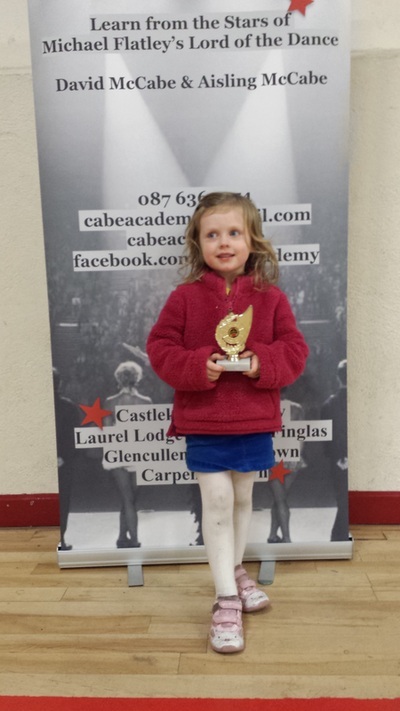 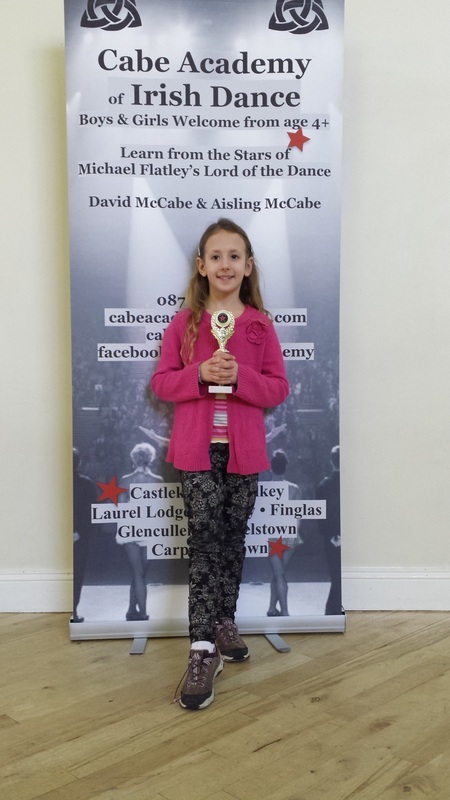 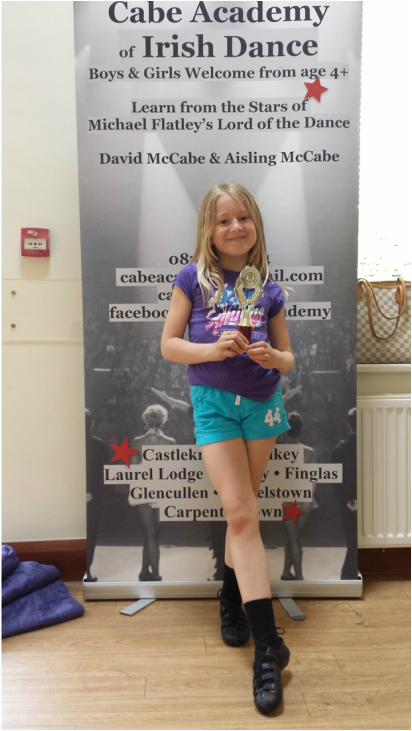 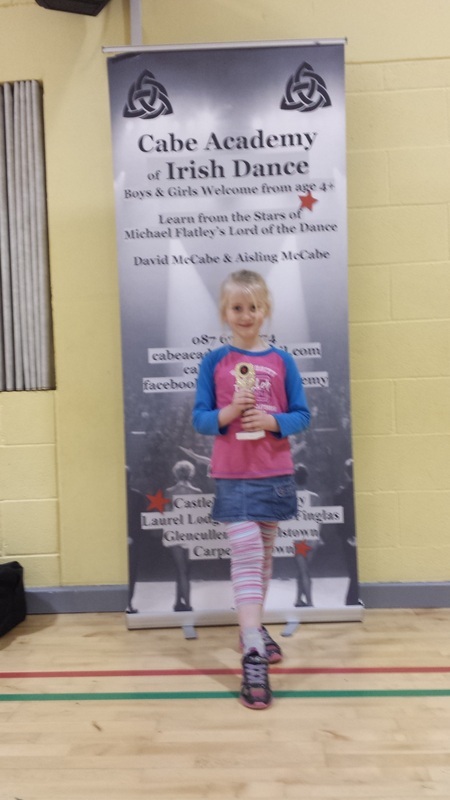 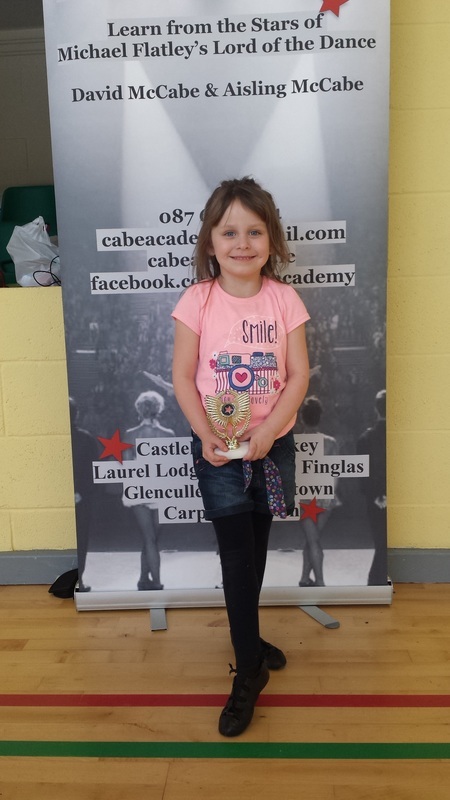 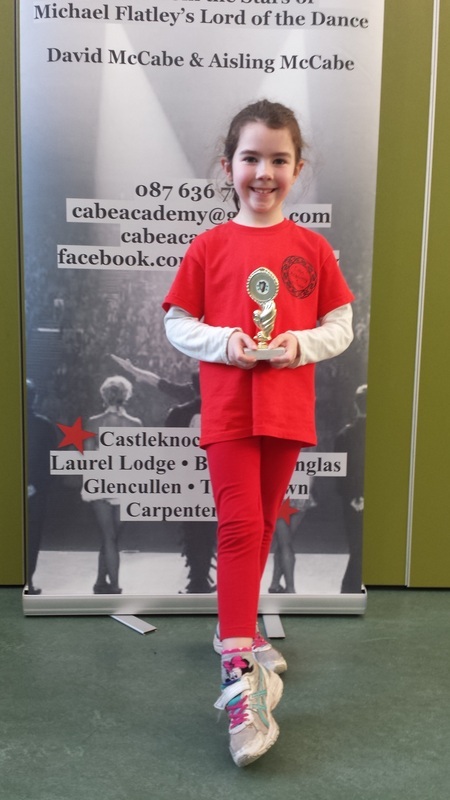 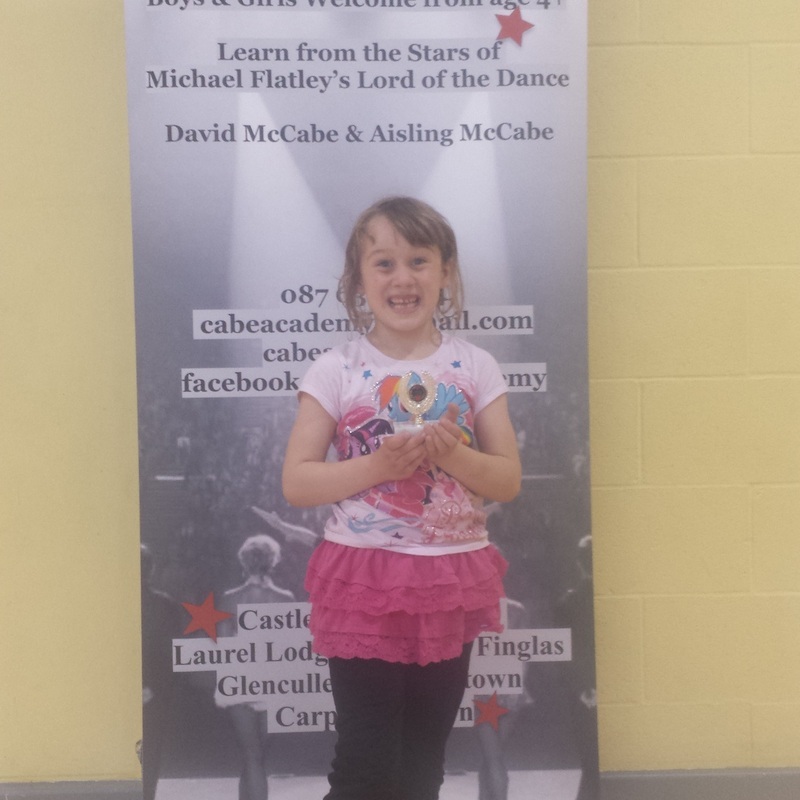 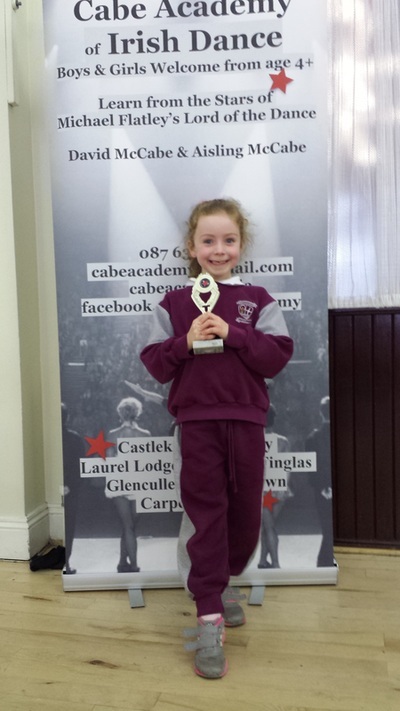 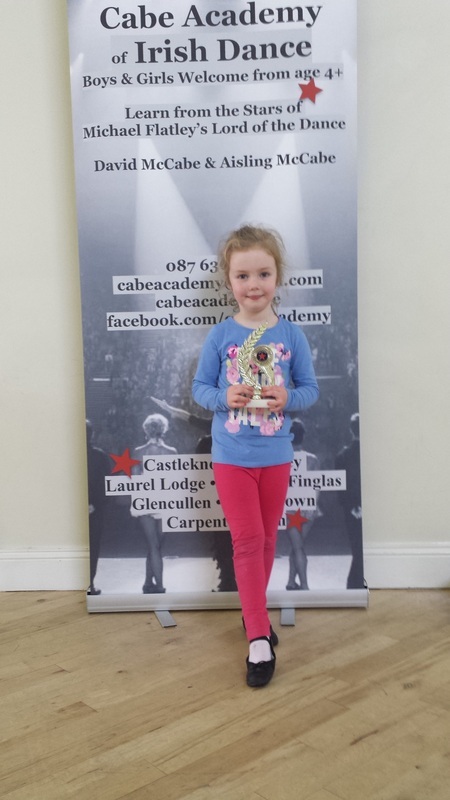 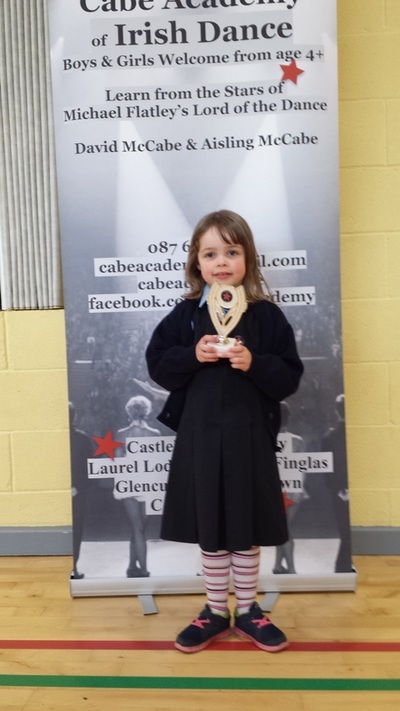 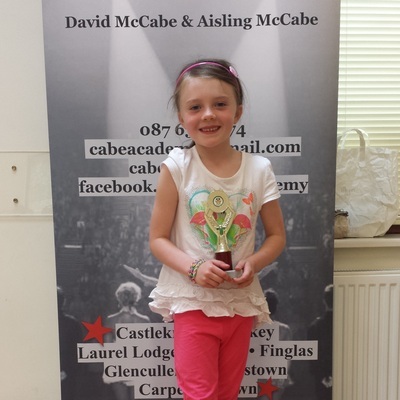 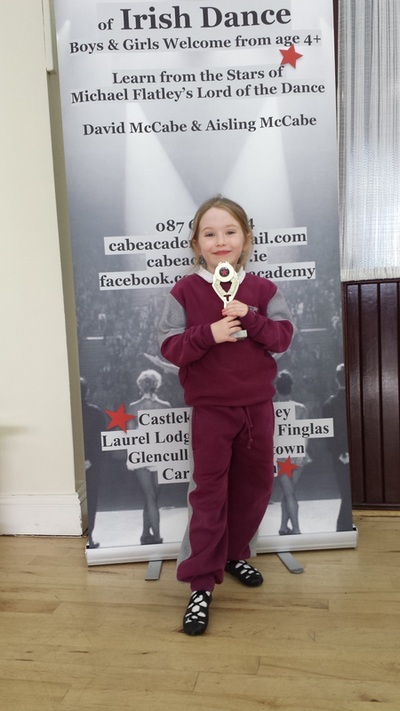 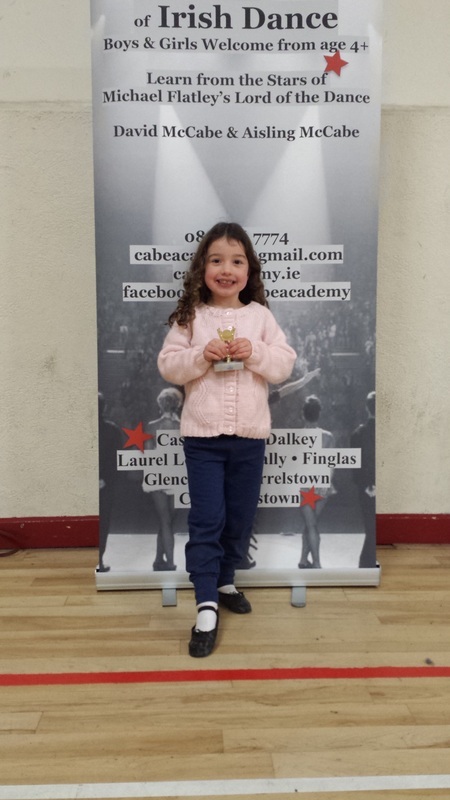 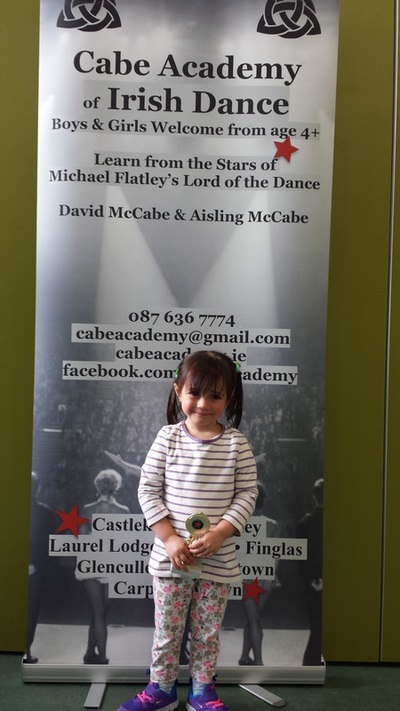 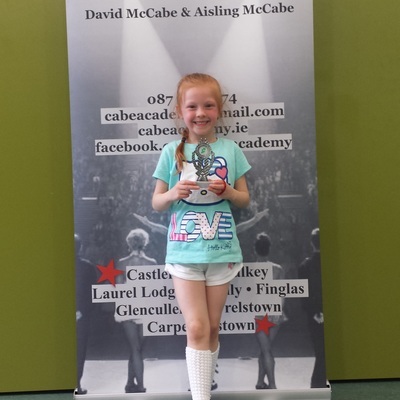 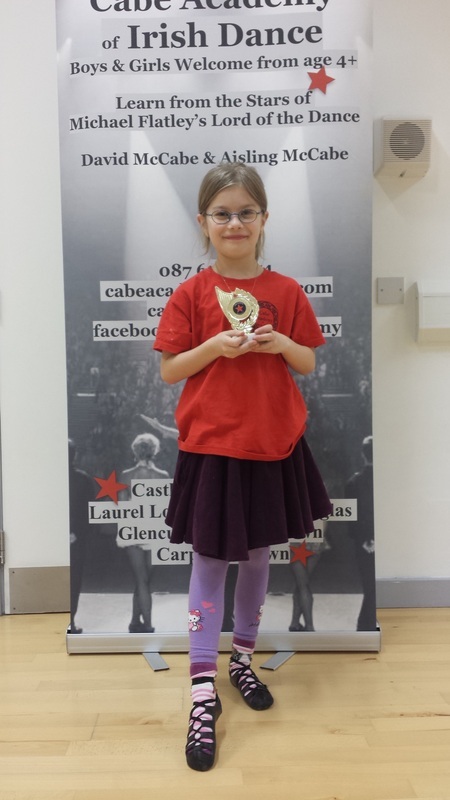 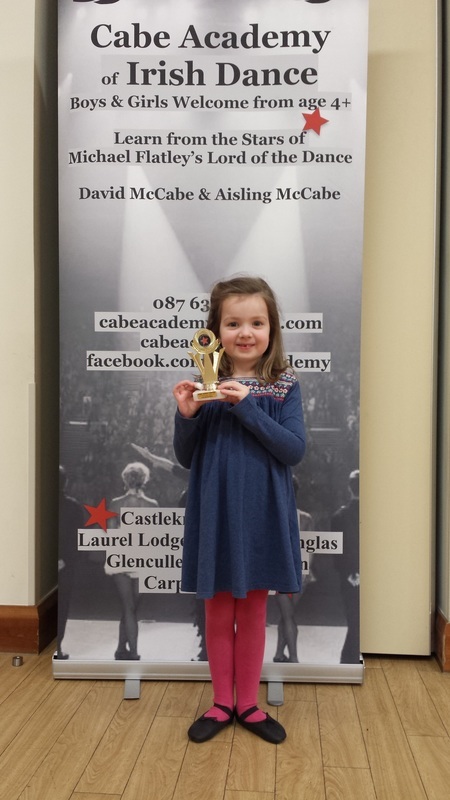 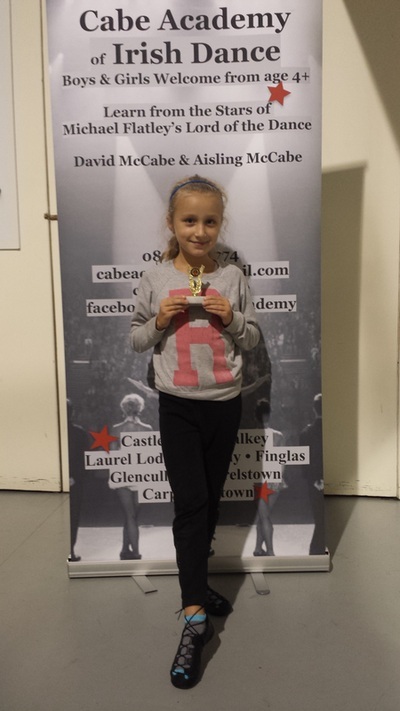 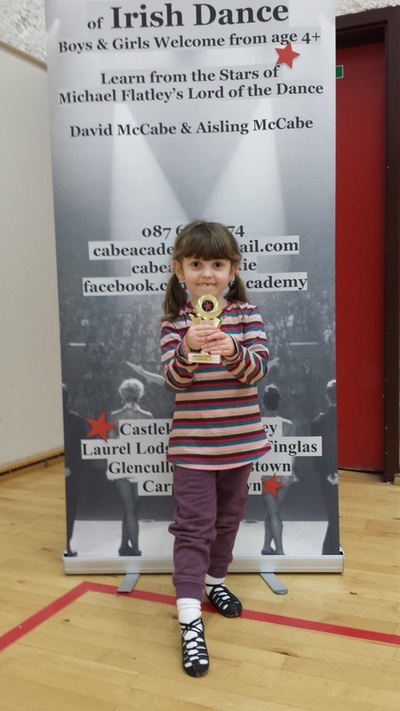 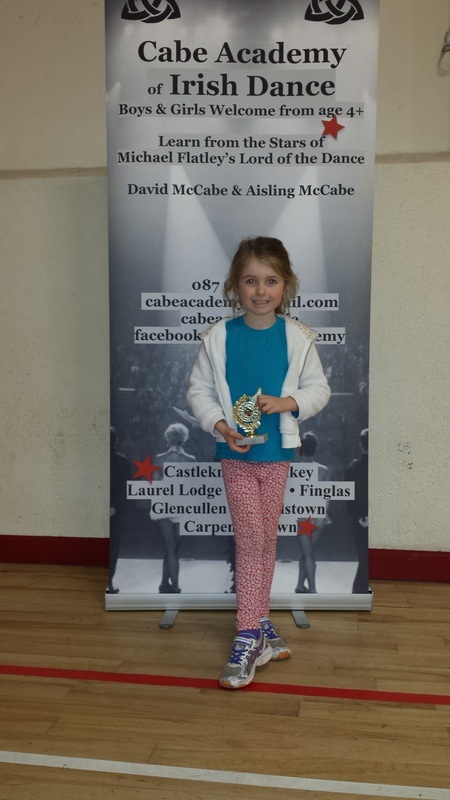 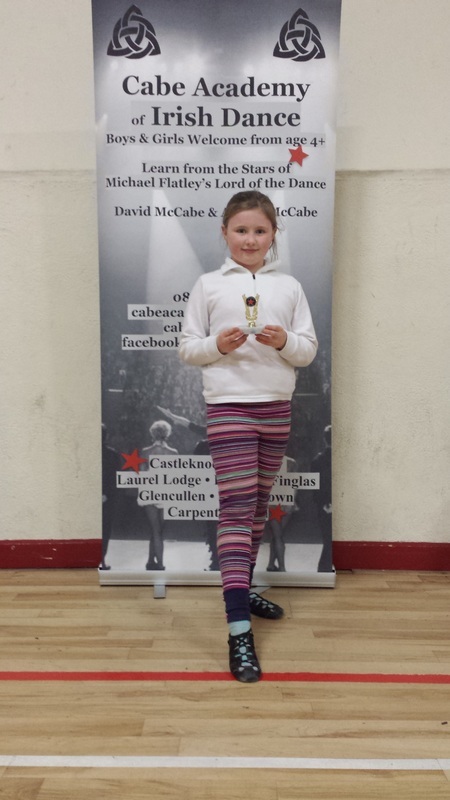 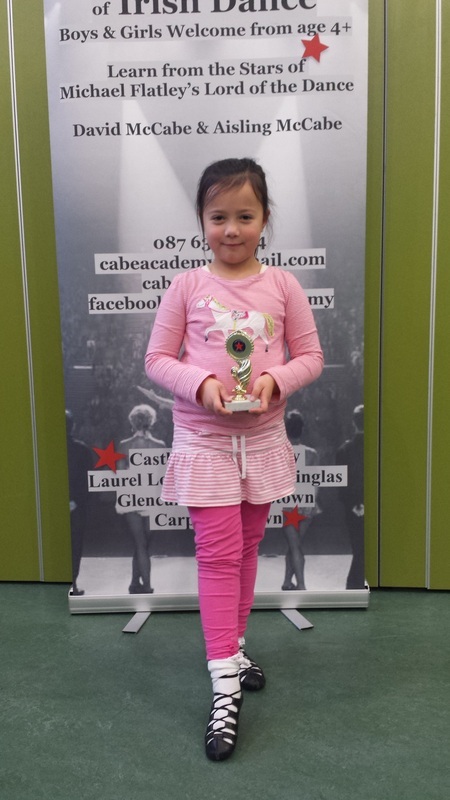 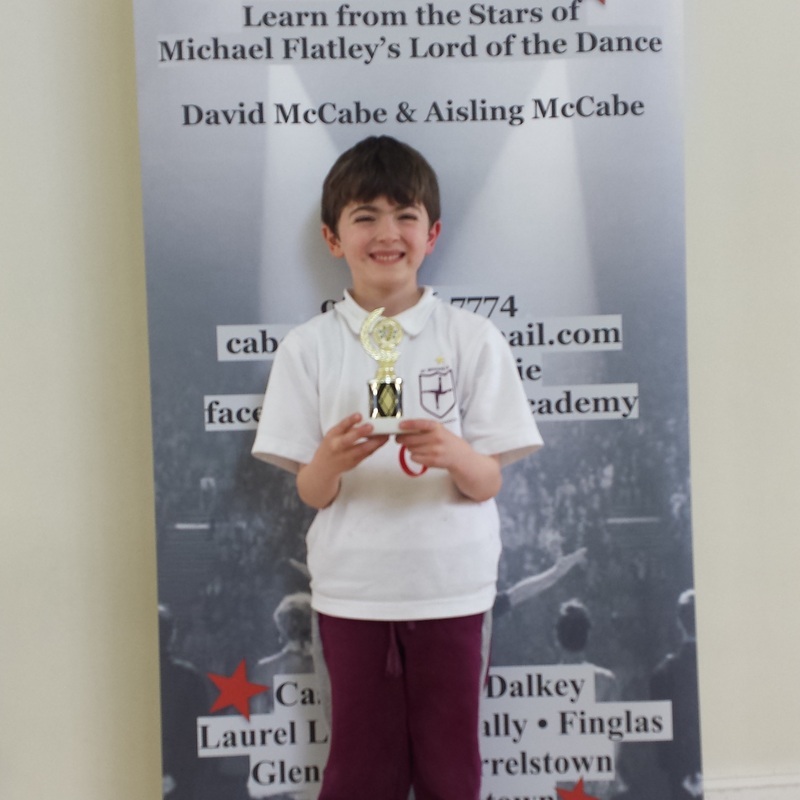 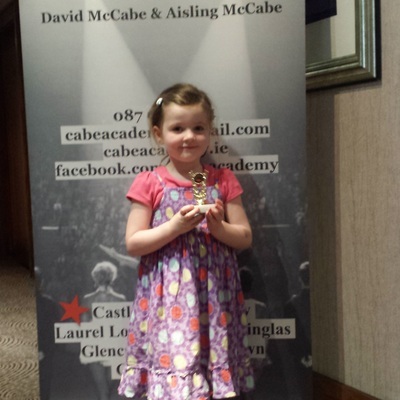 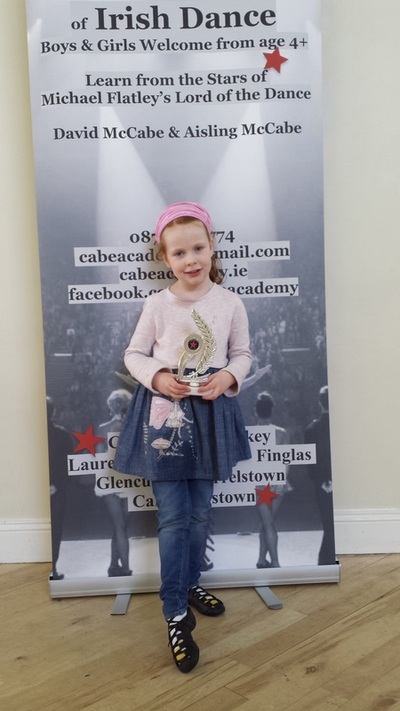 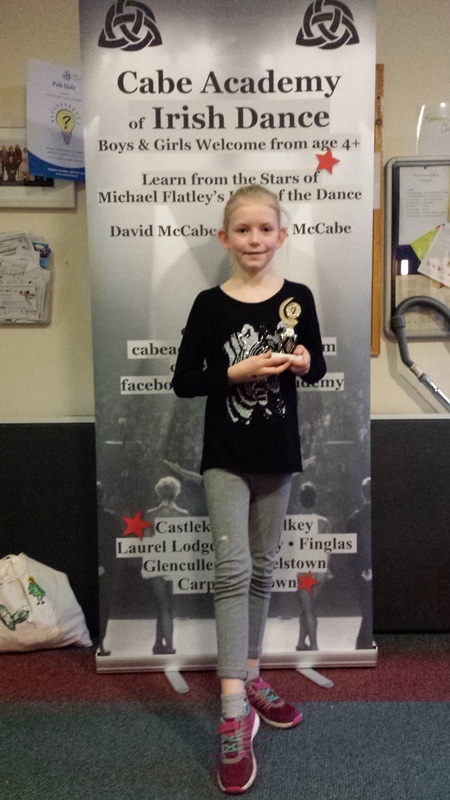 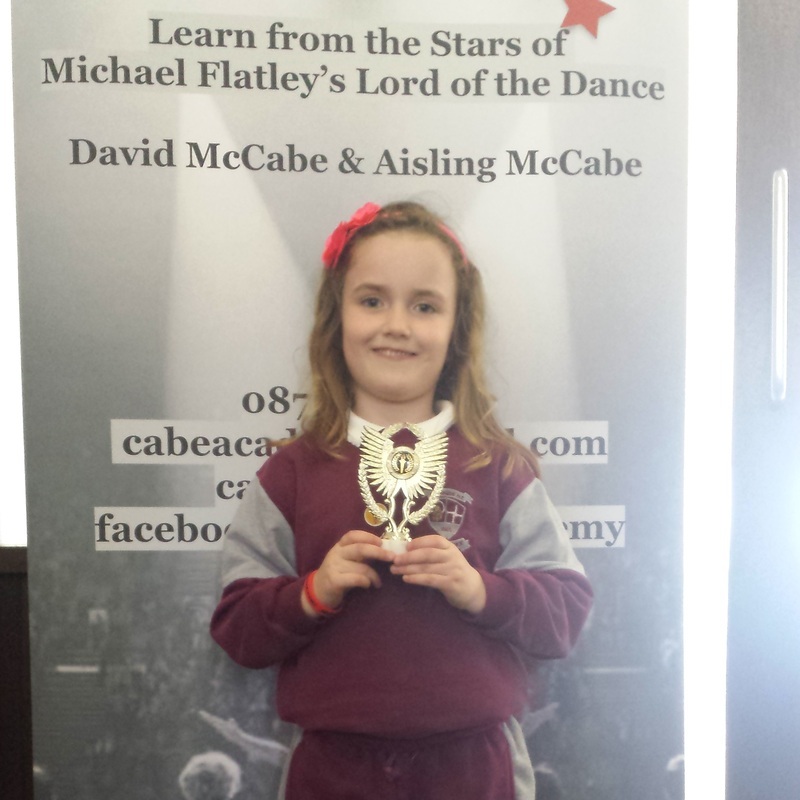 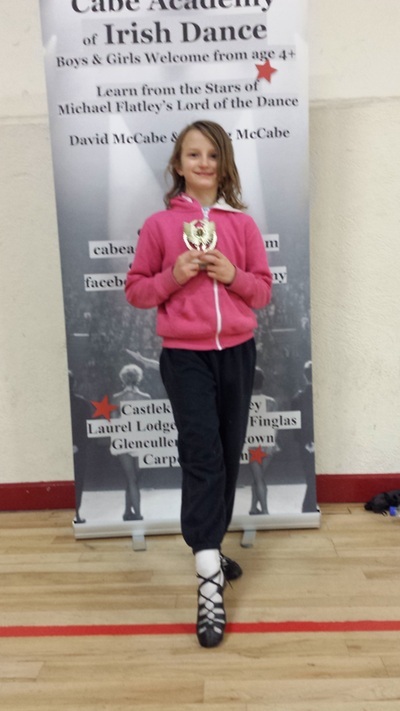 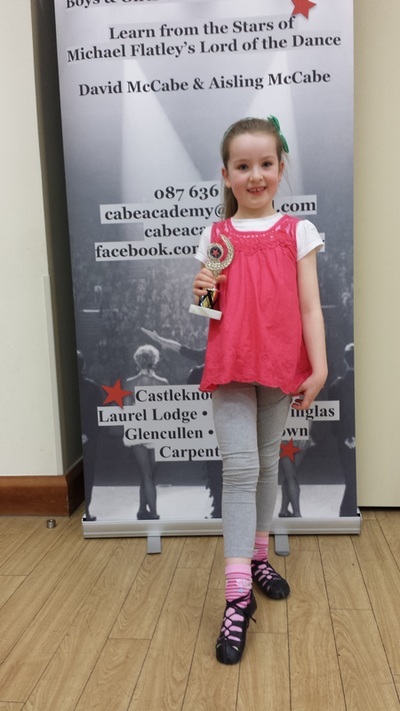 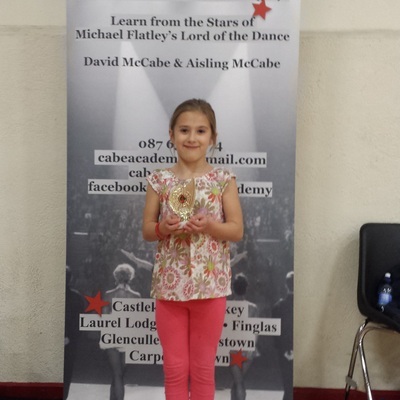 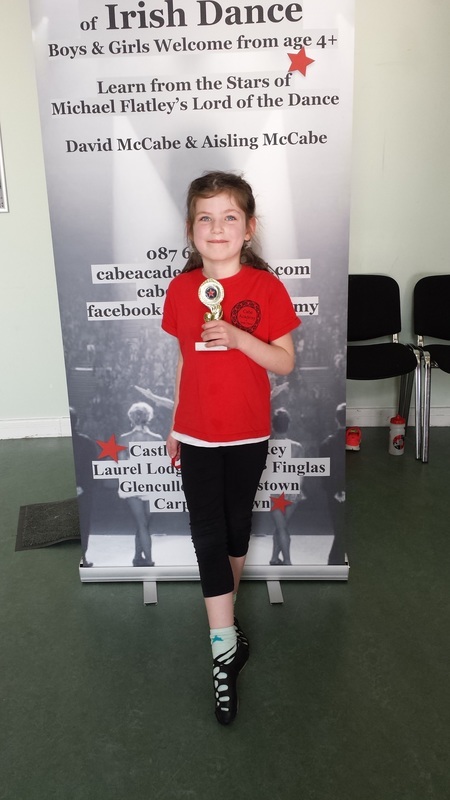 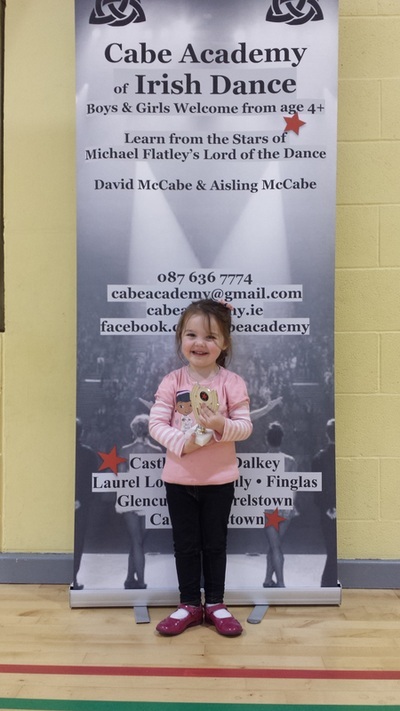 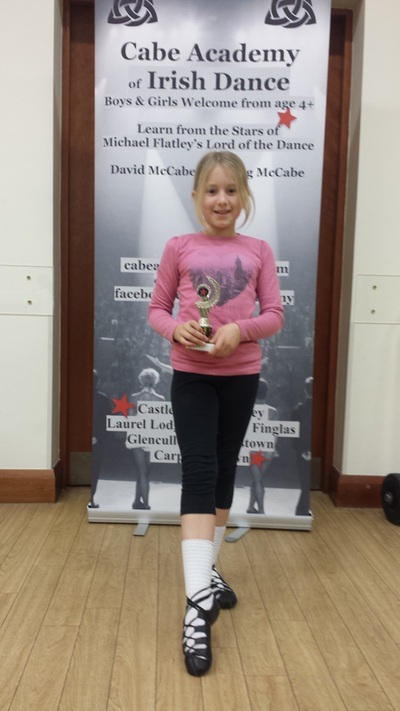 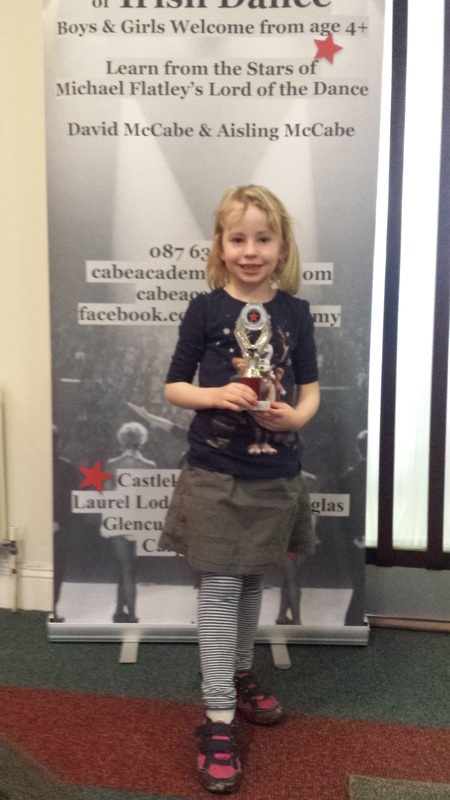 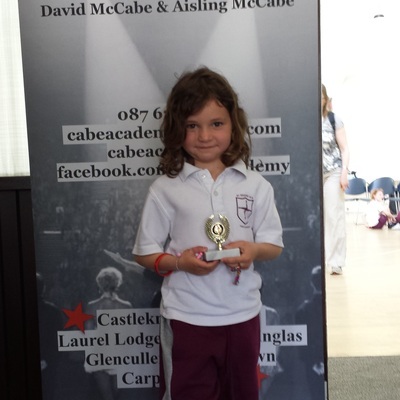 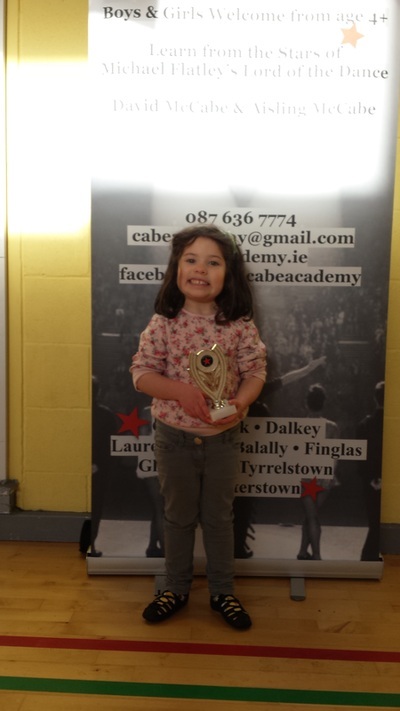 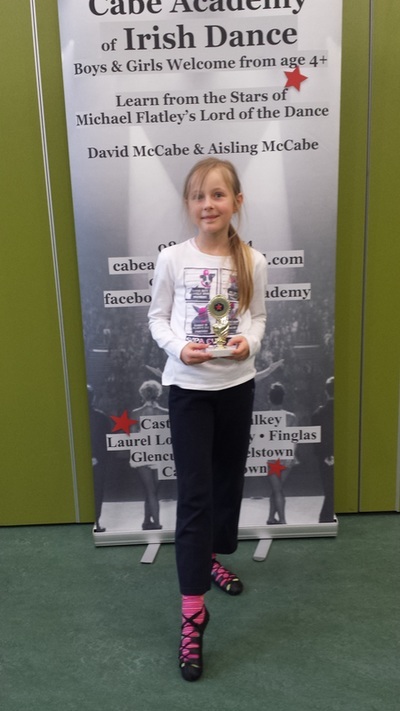 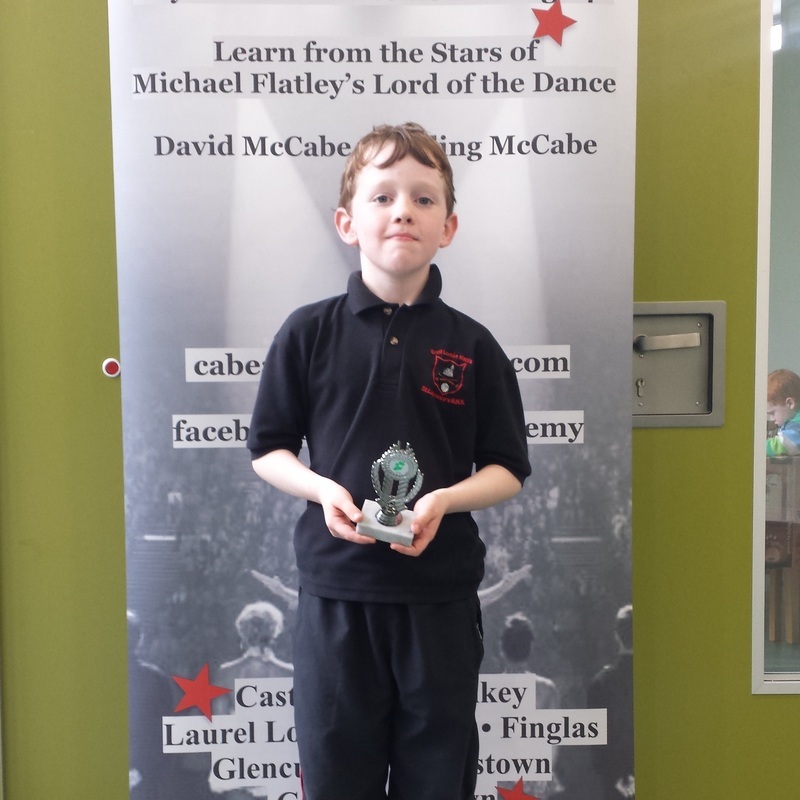 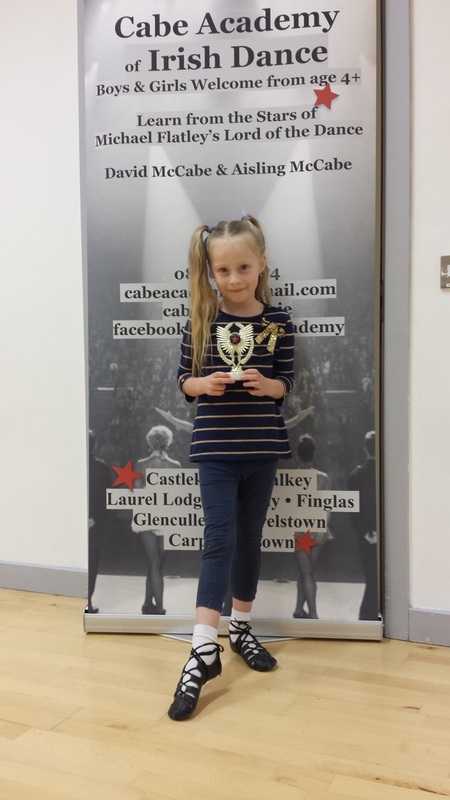 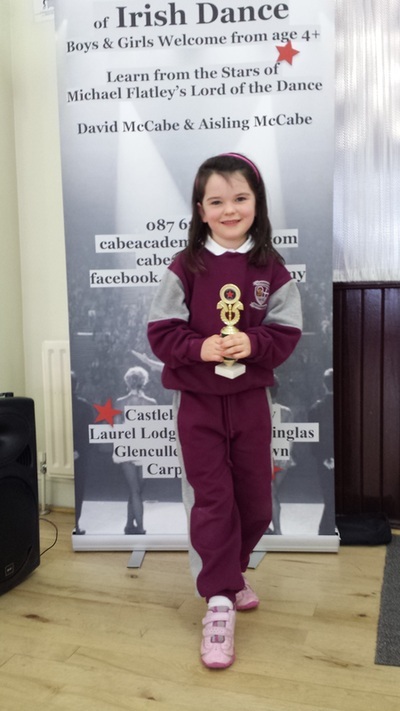 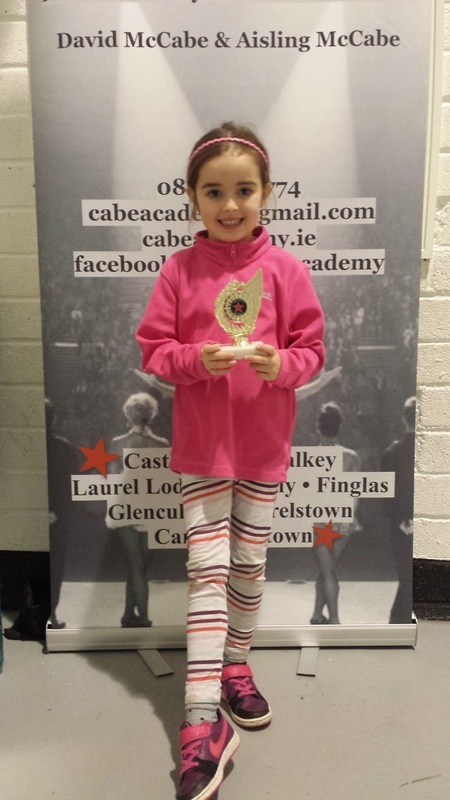 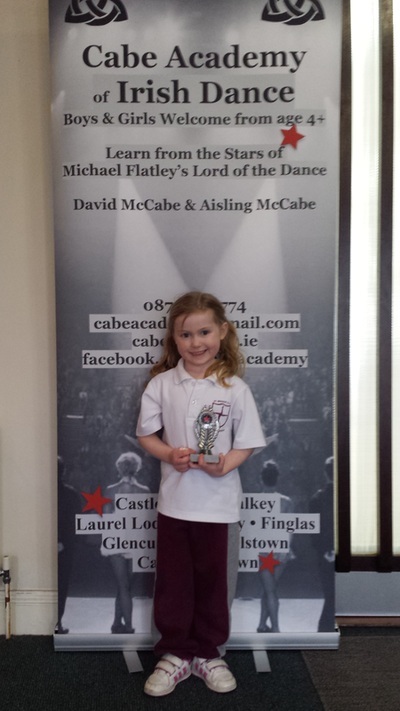 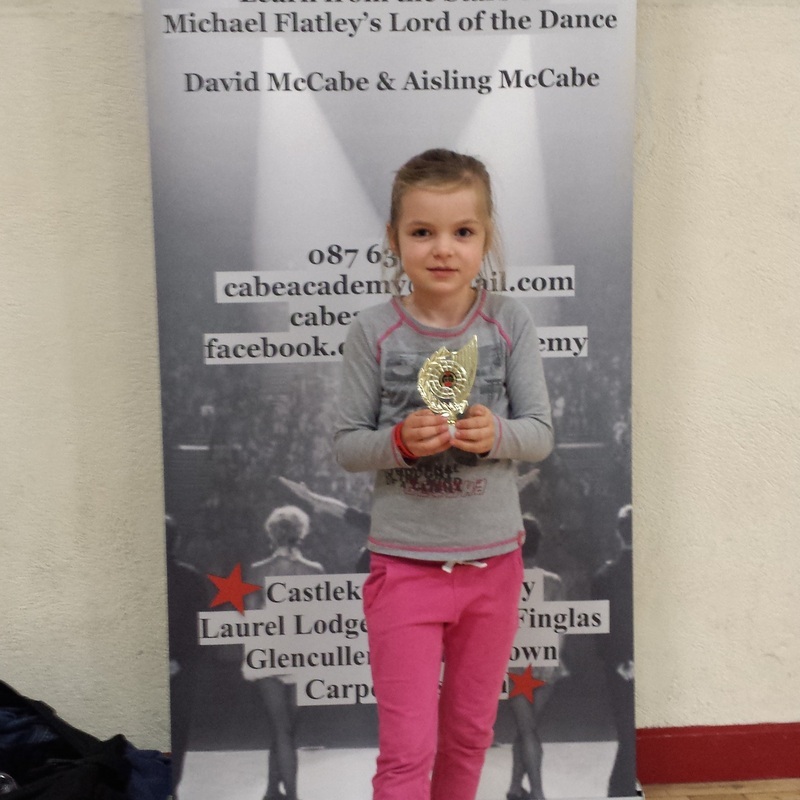 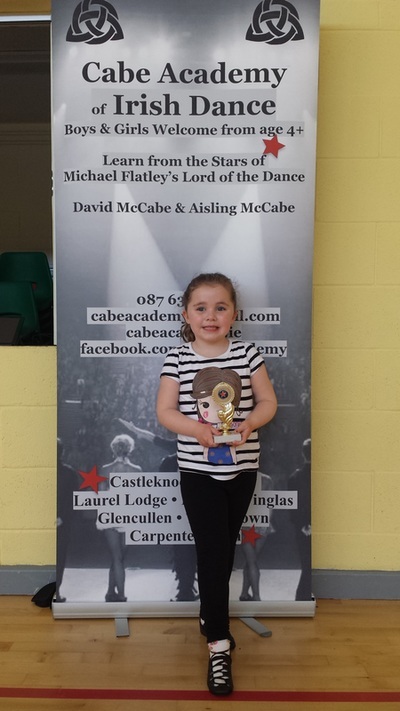 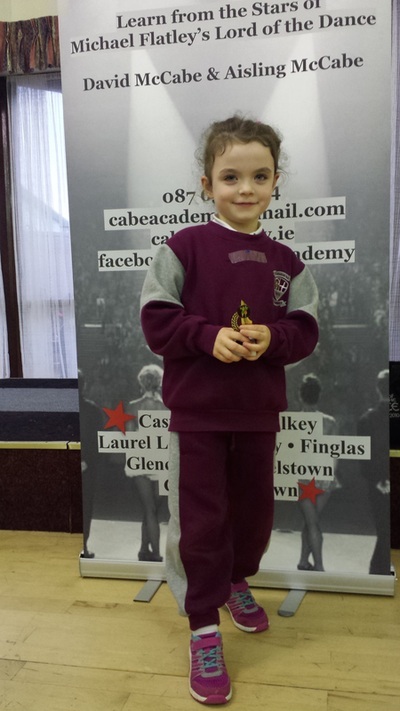 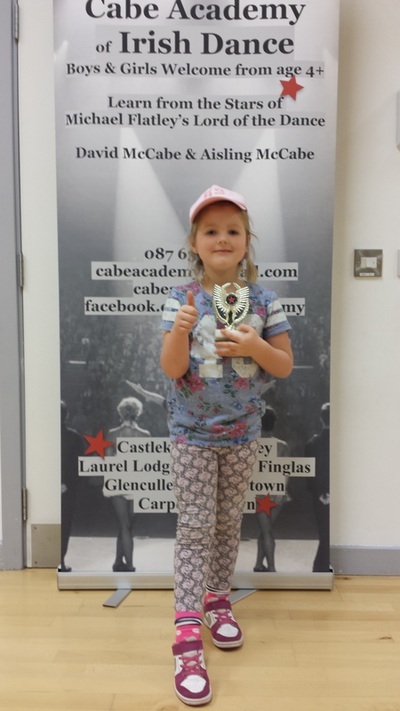 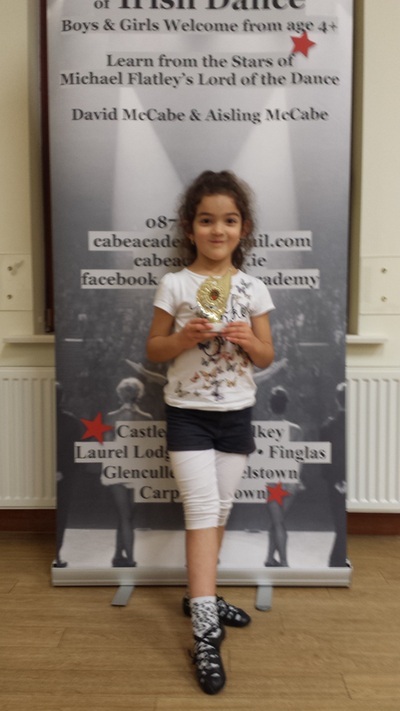 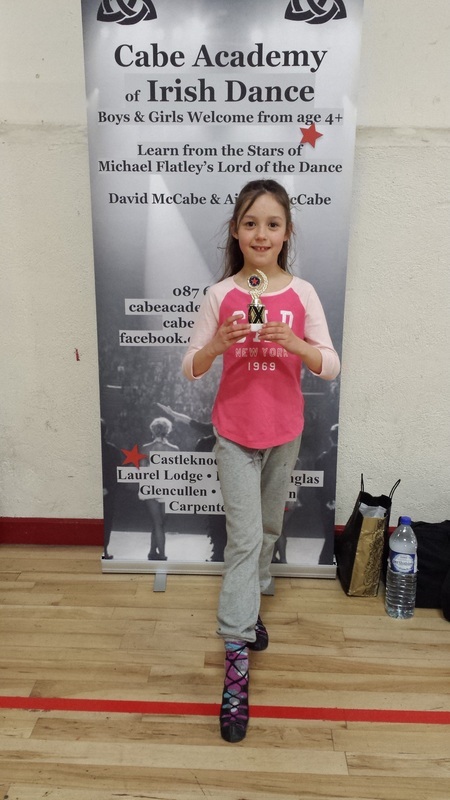 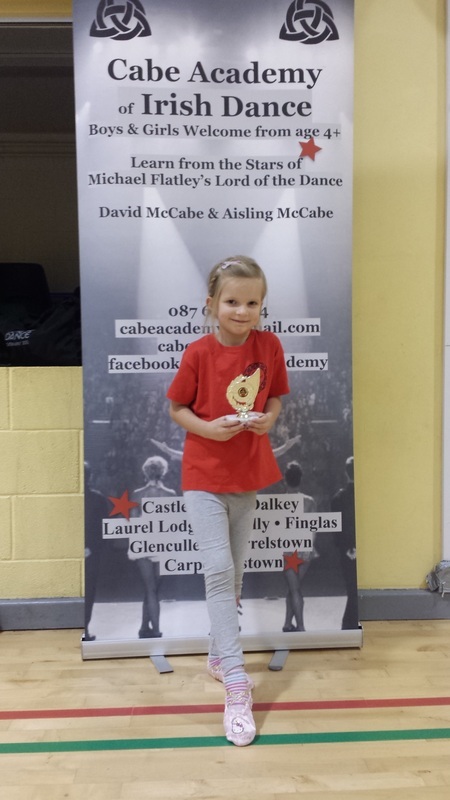 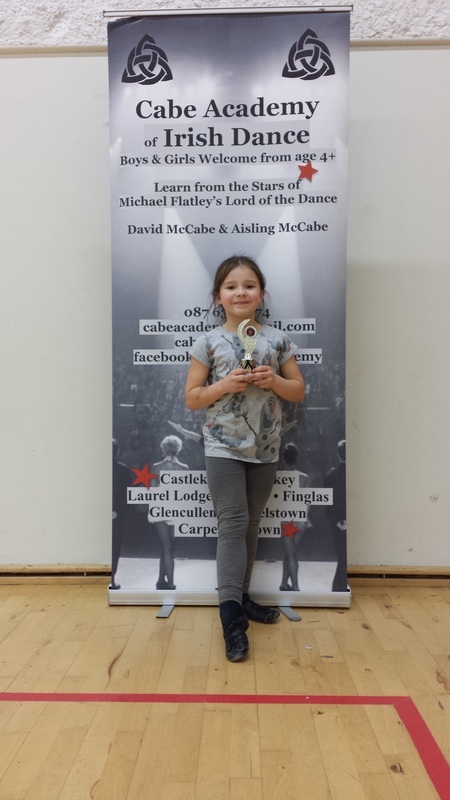 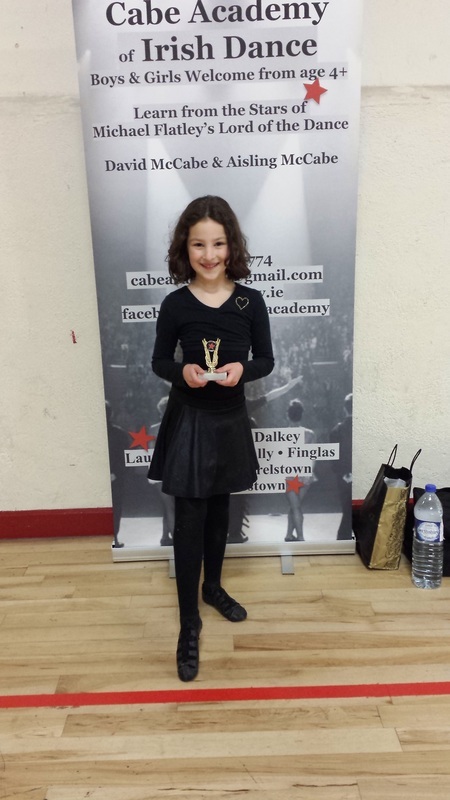 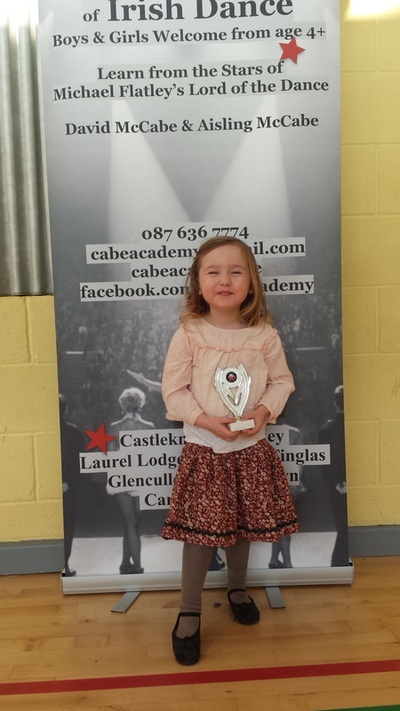 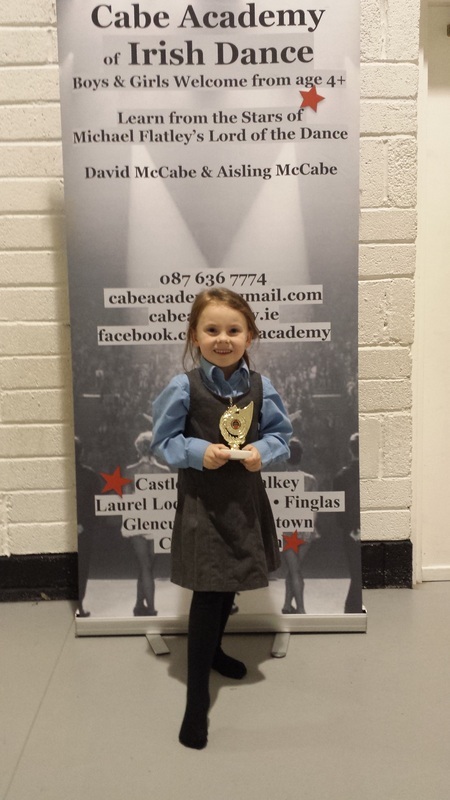 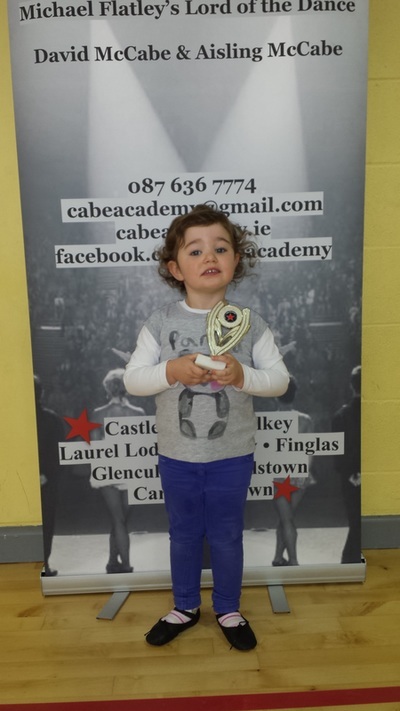 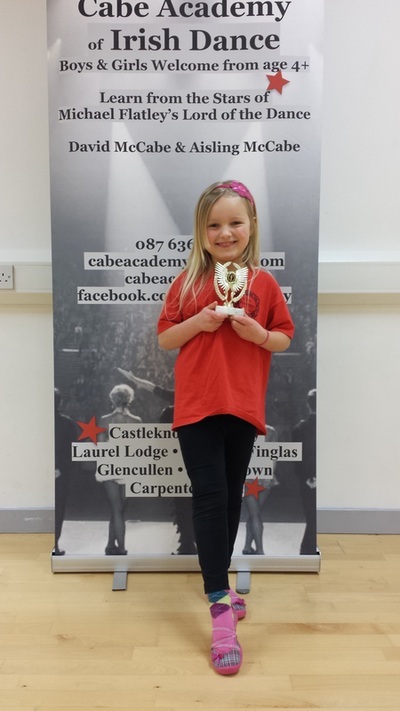 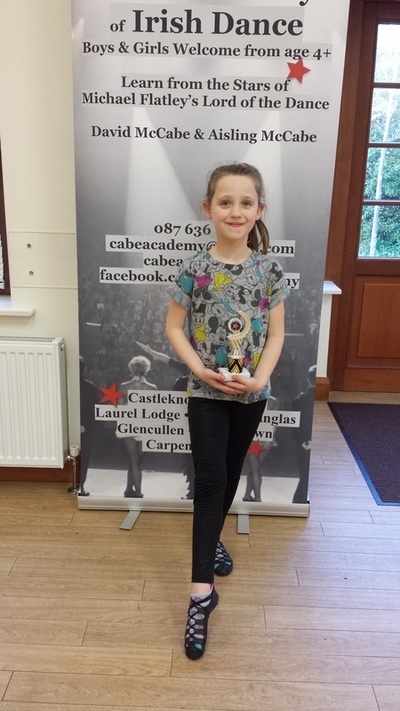 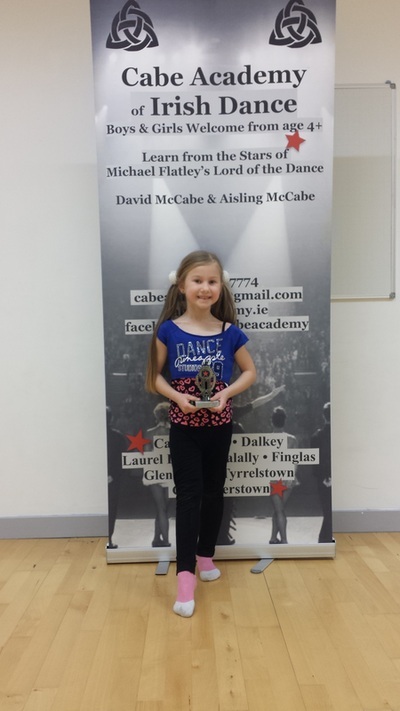 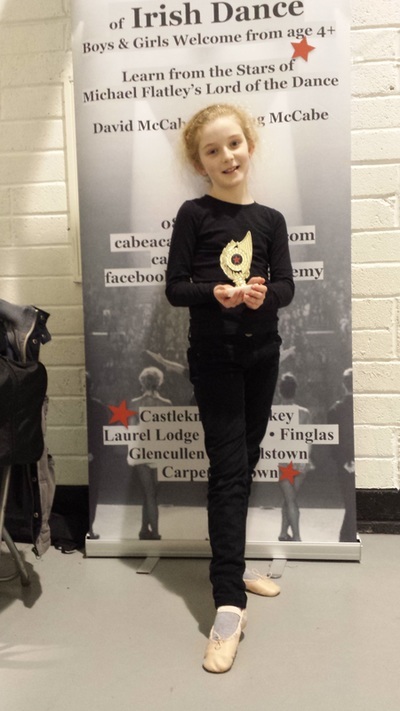 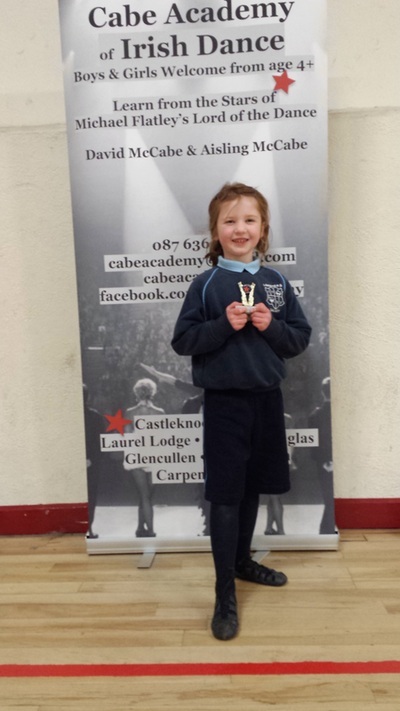 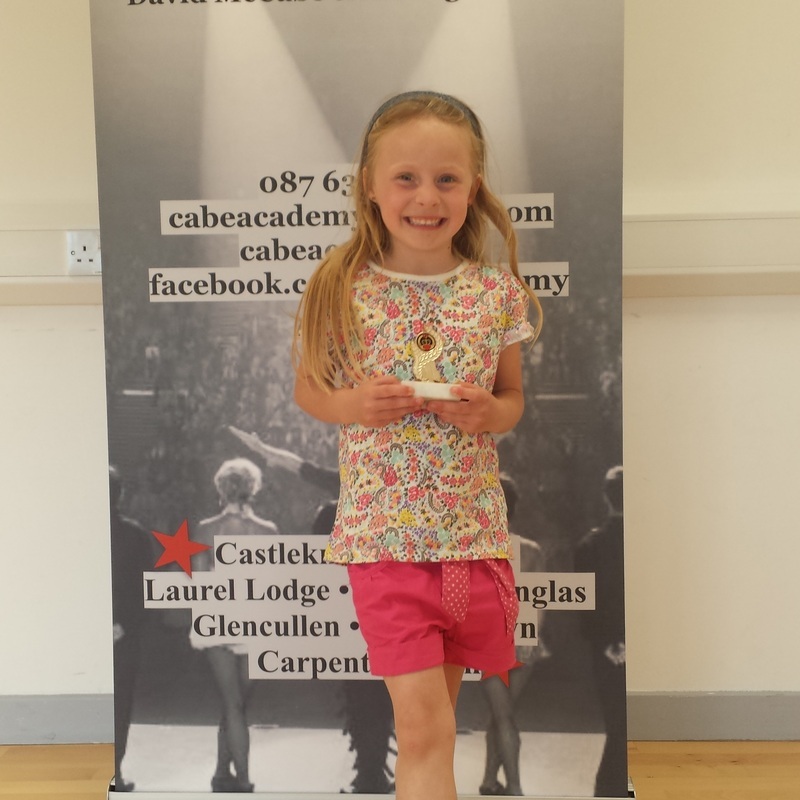 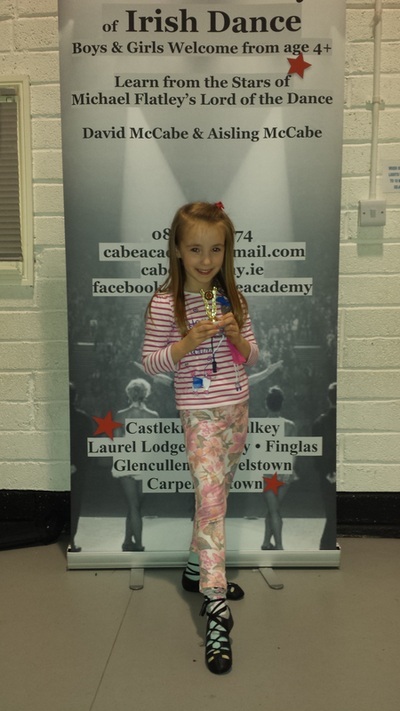 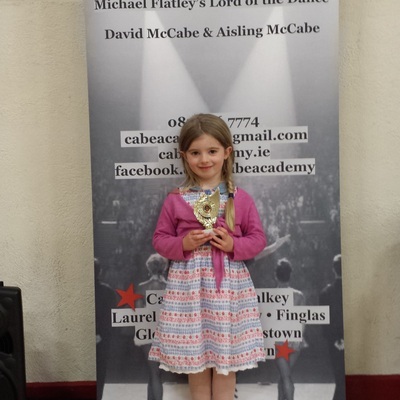 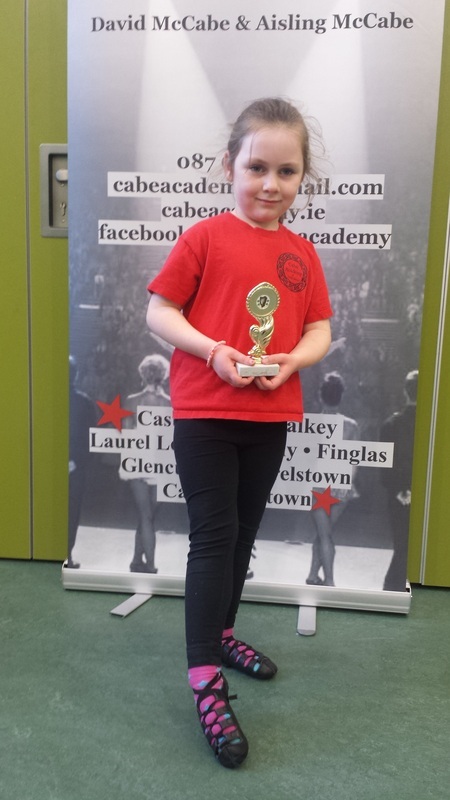 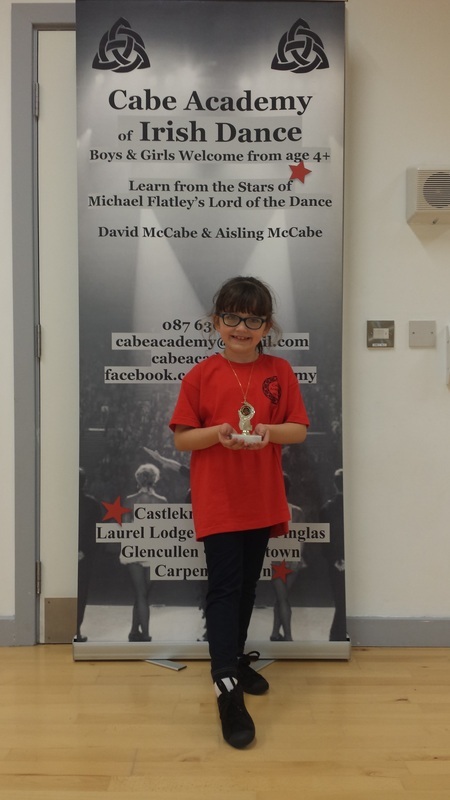 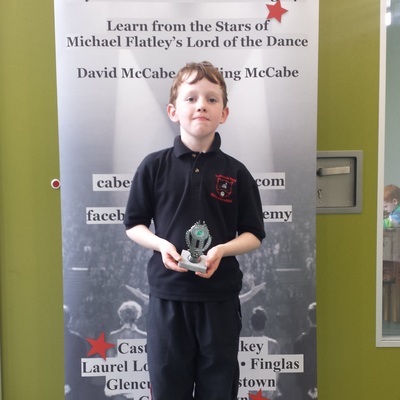 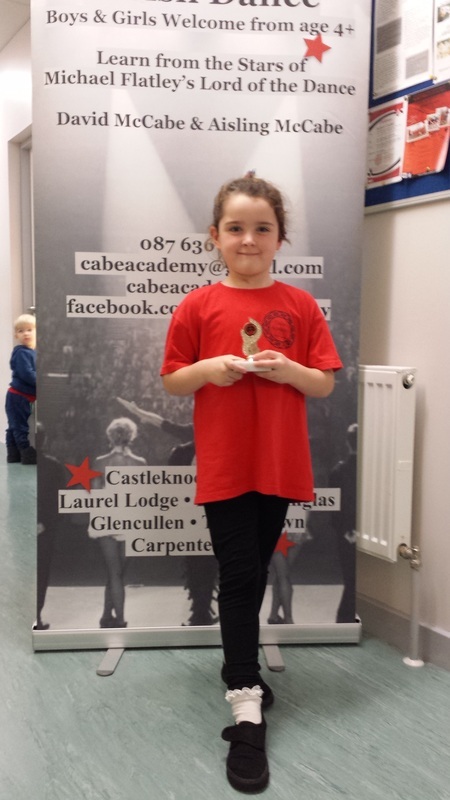 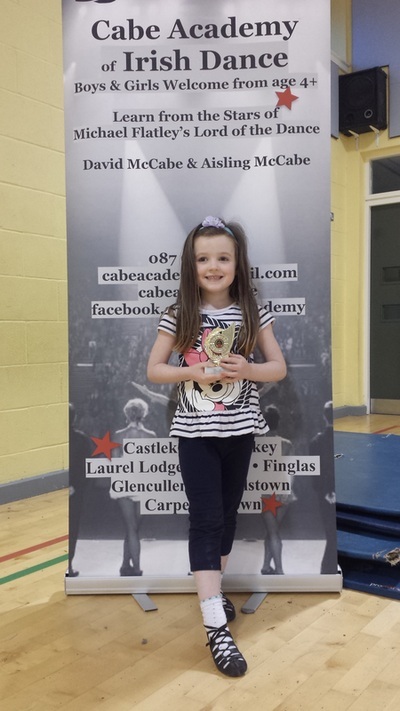 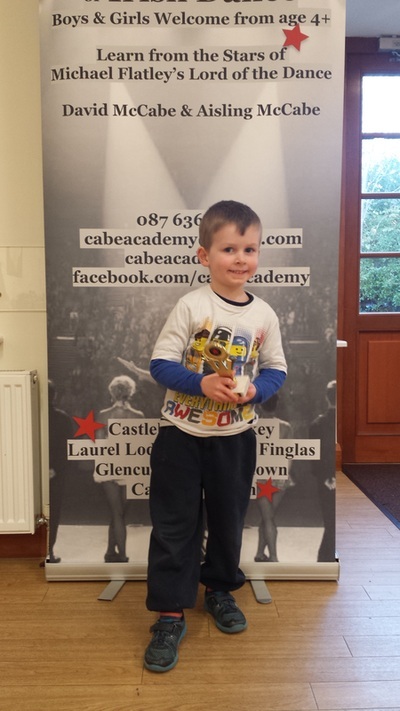 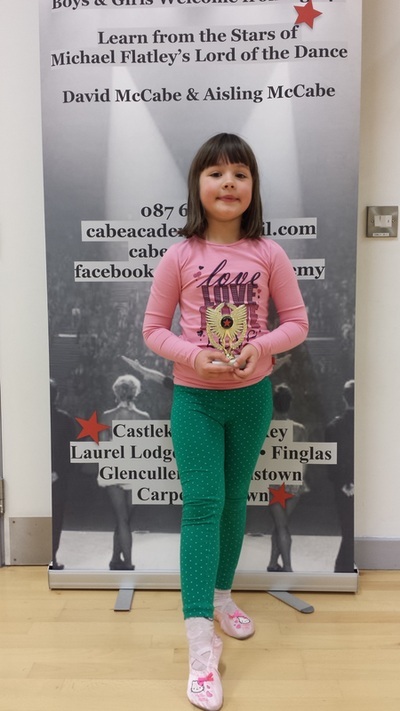 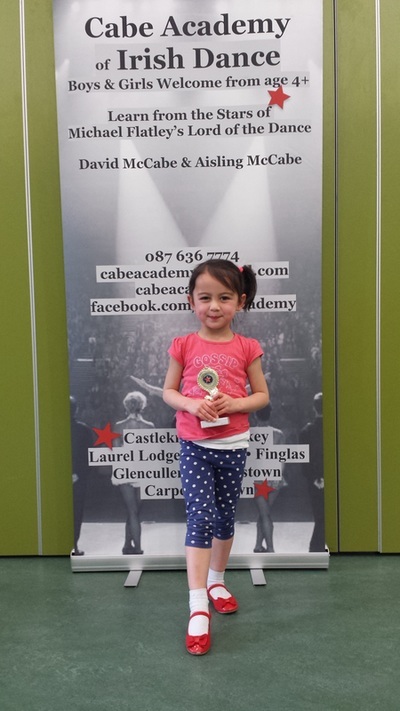 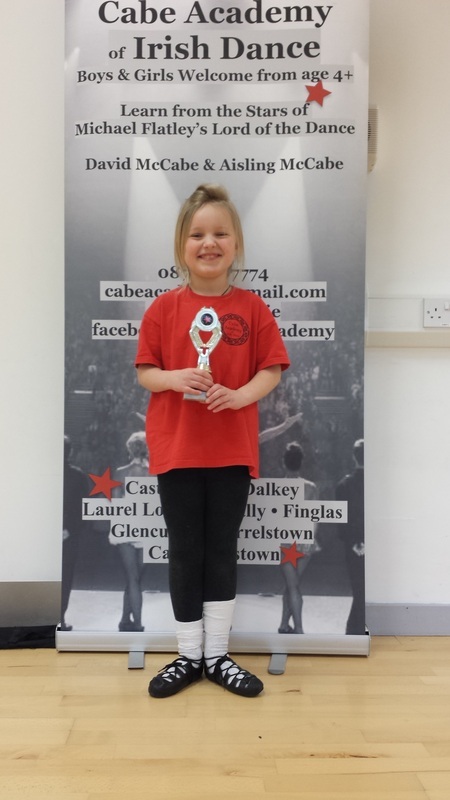 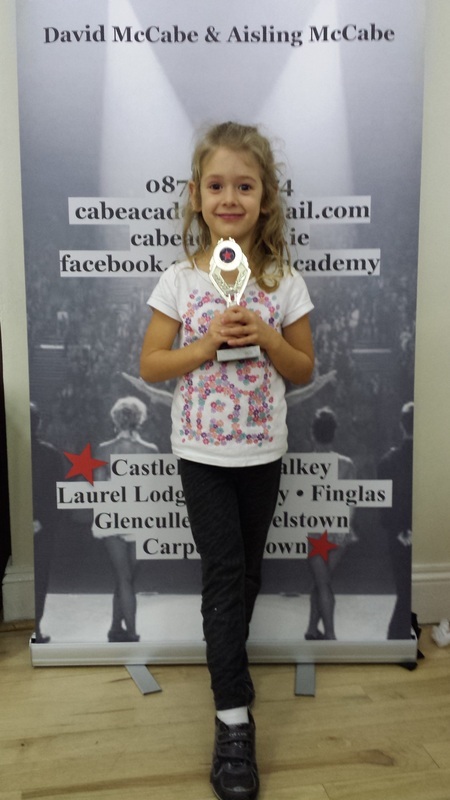 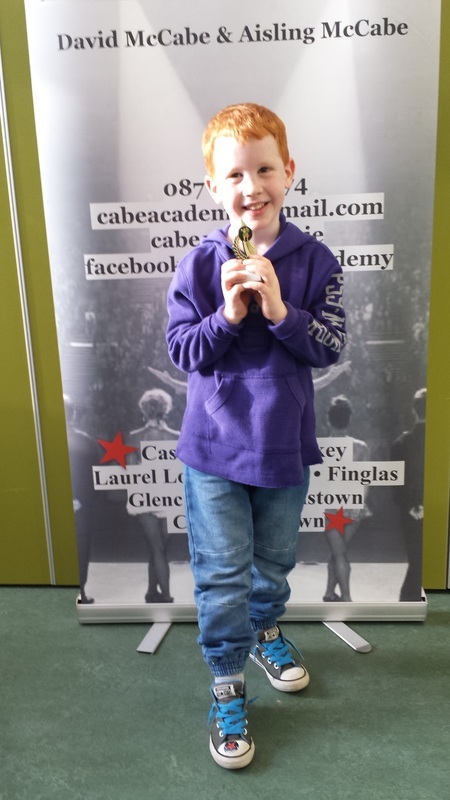 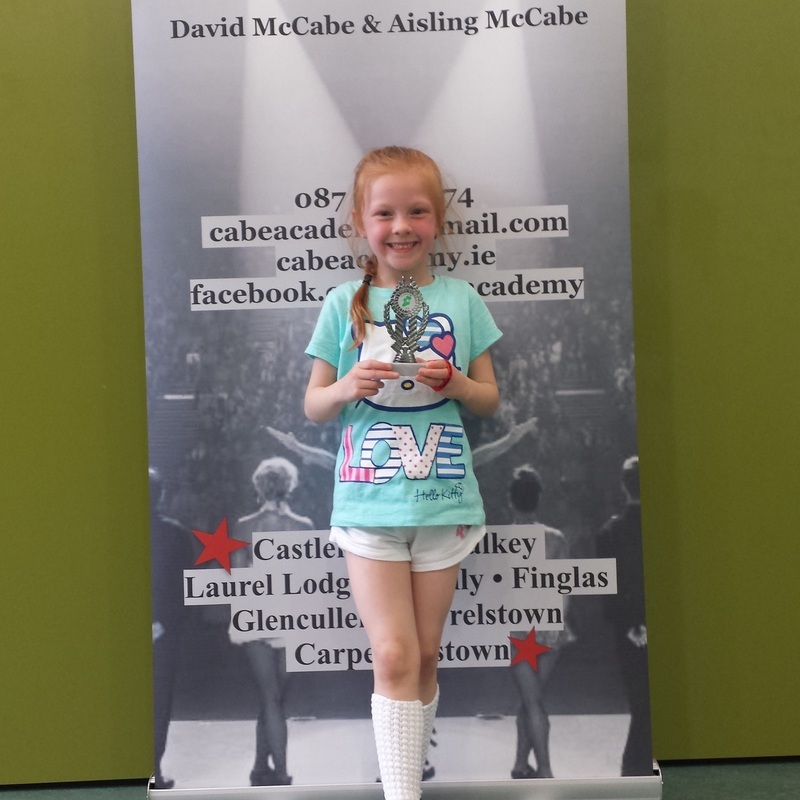 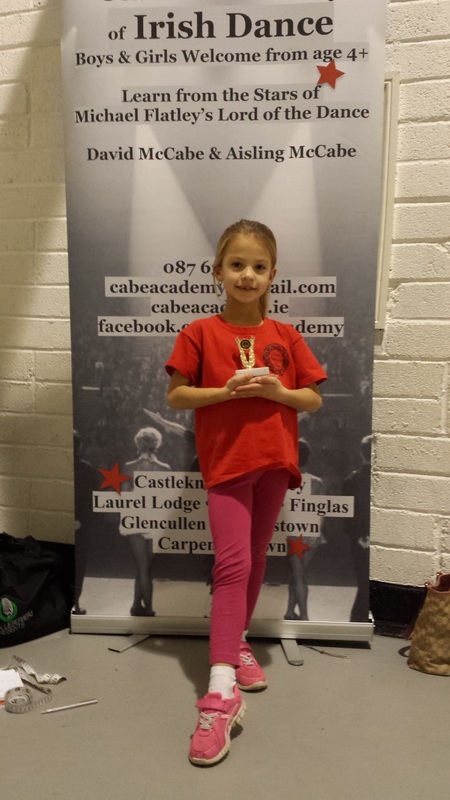 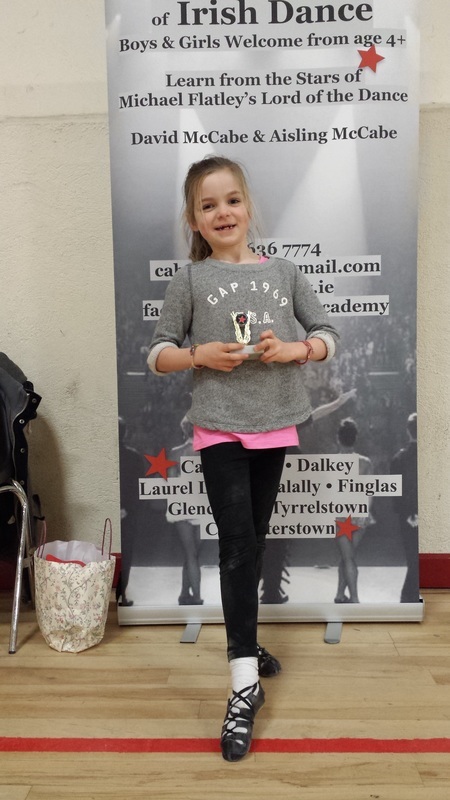 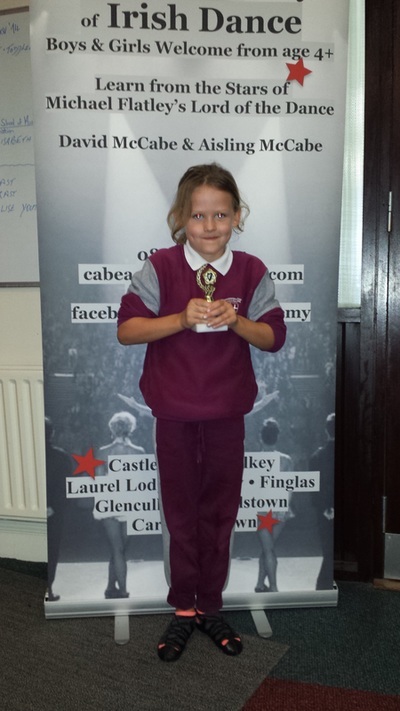 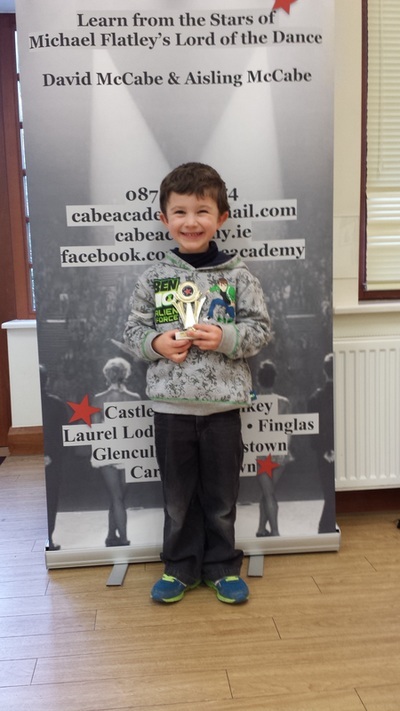 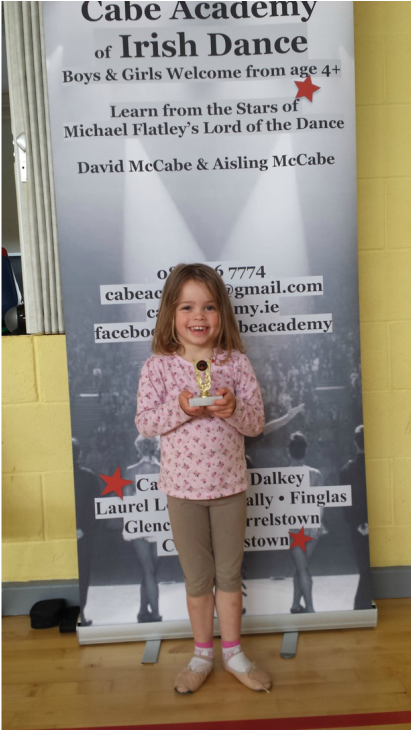 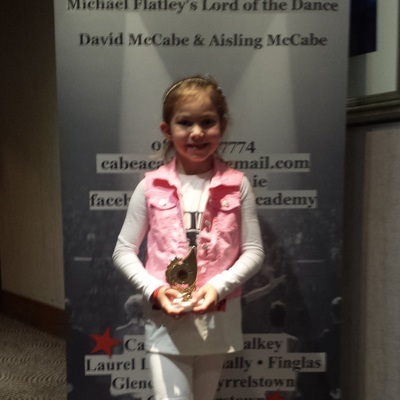 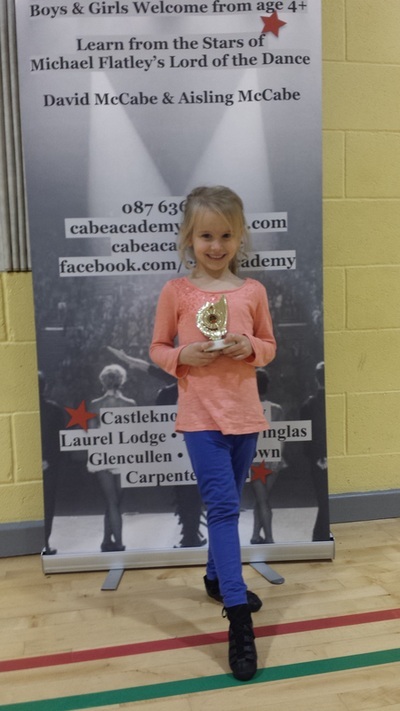 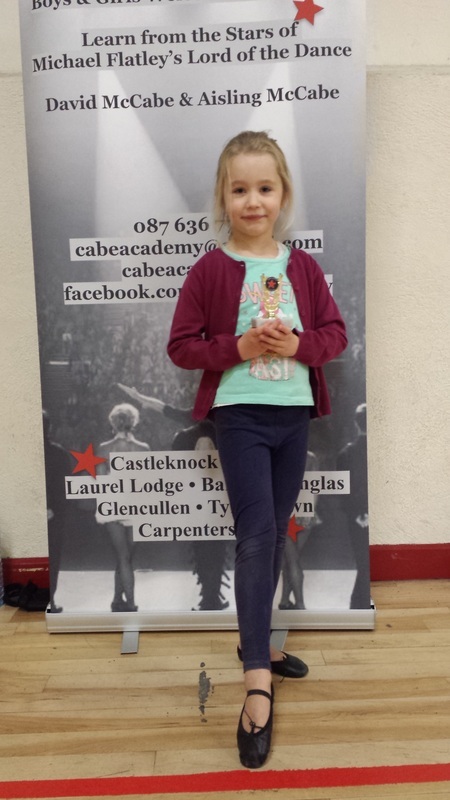 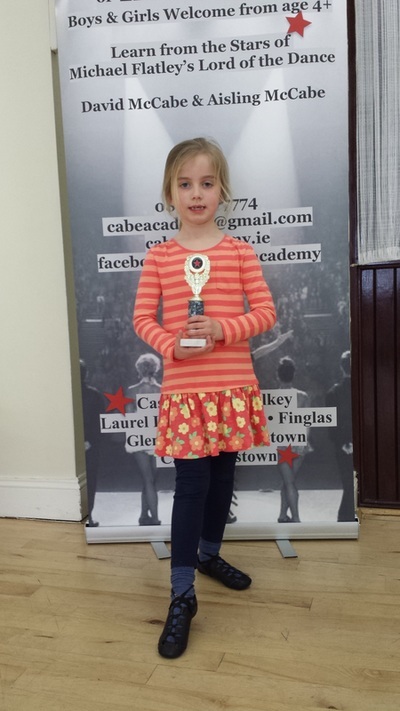 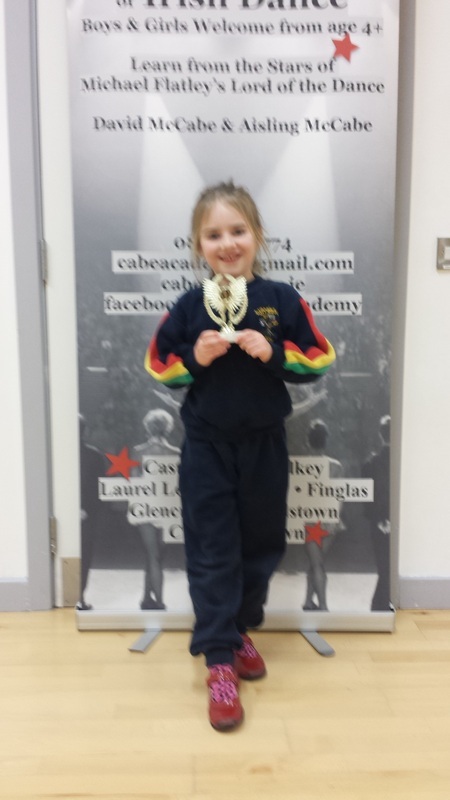 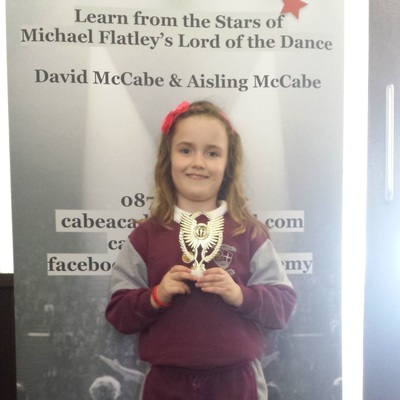 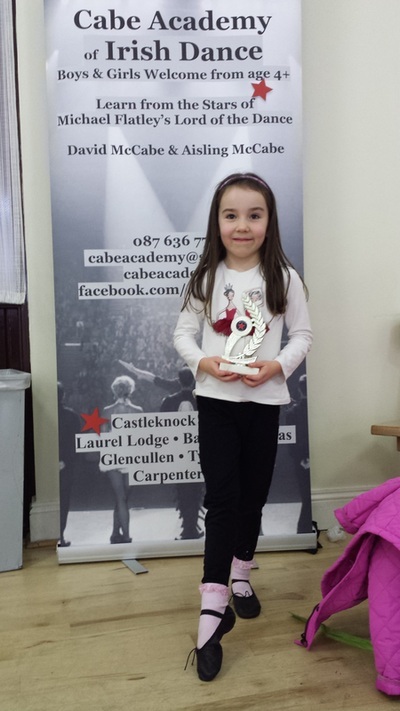 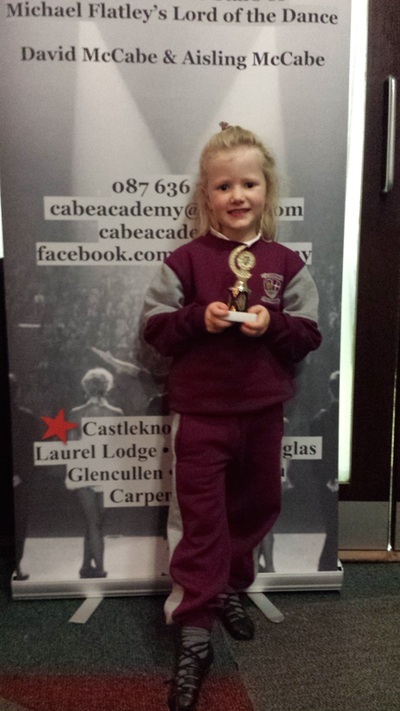 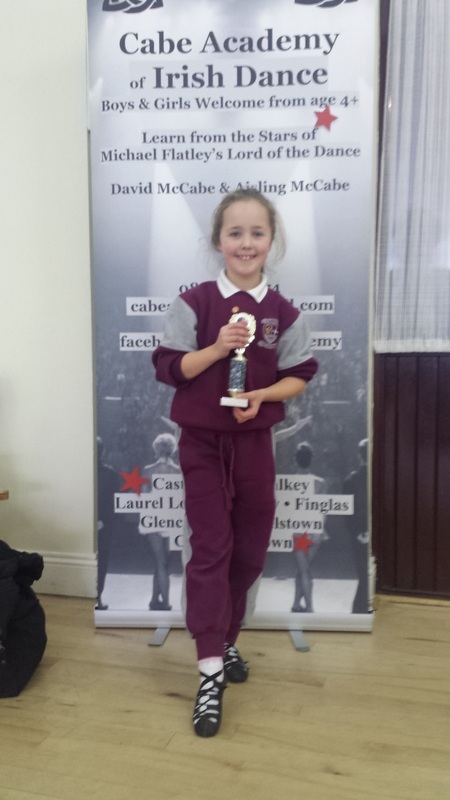 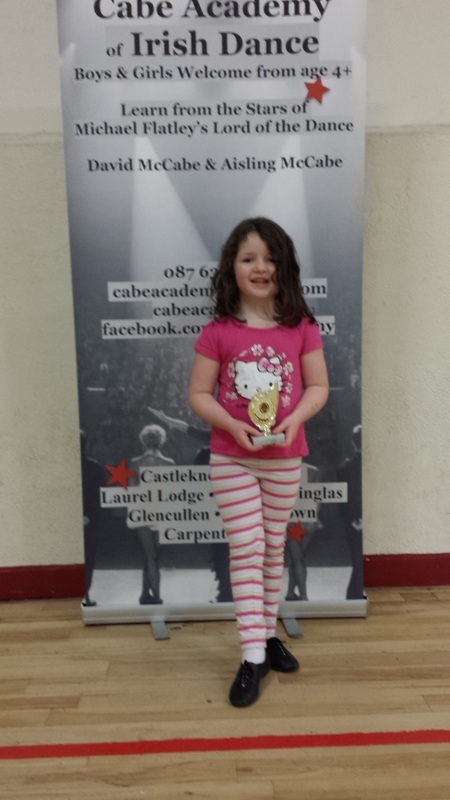 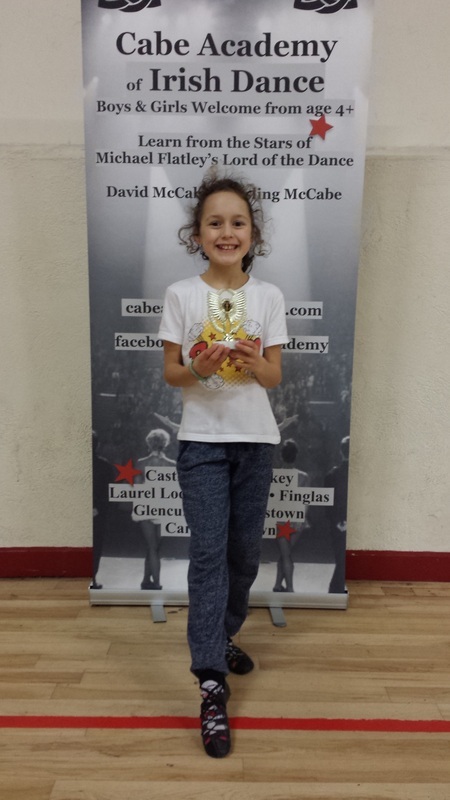 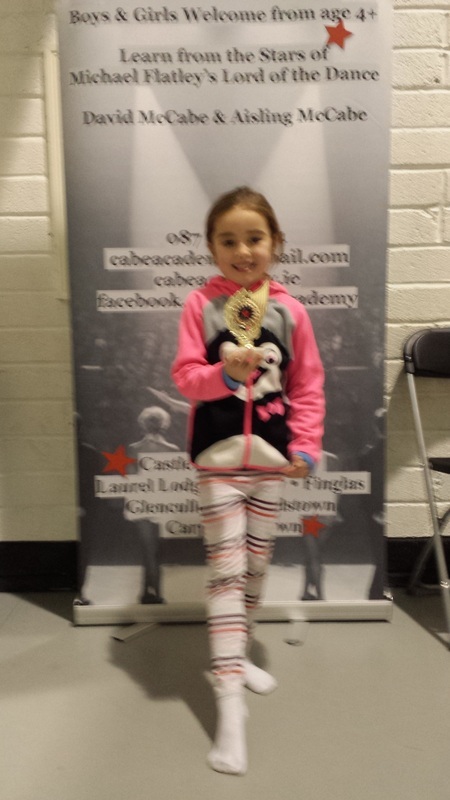 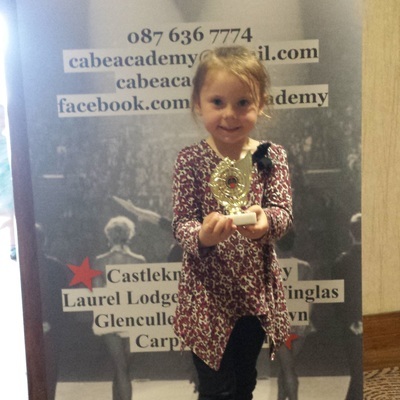 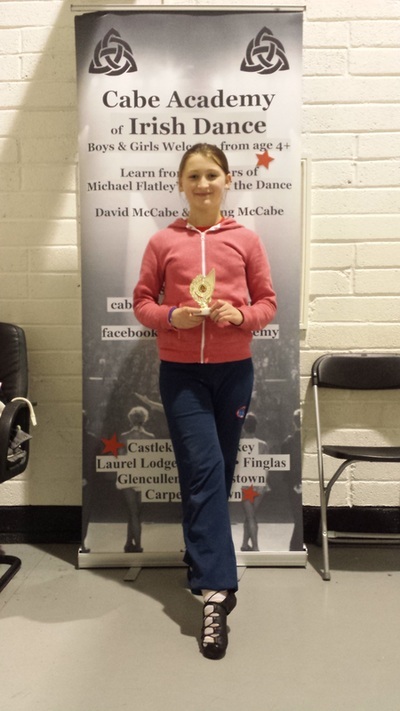 Some big improvements this week at Cabe Academy of Irish Dance. 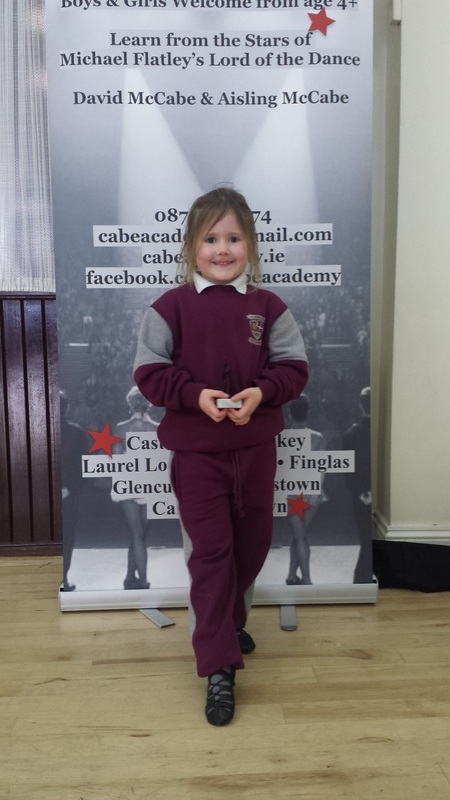 Everyone works really hard in class and you can see it in their dancing. We had a couple of first time winners which is always nice, and then there were a few that would could not help but award them the trophy again. 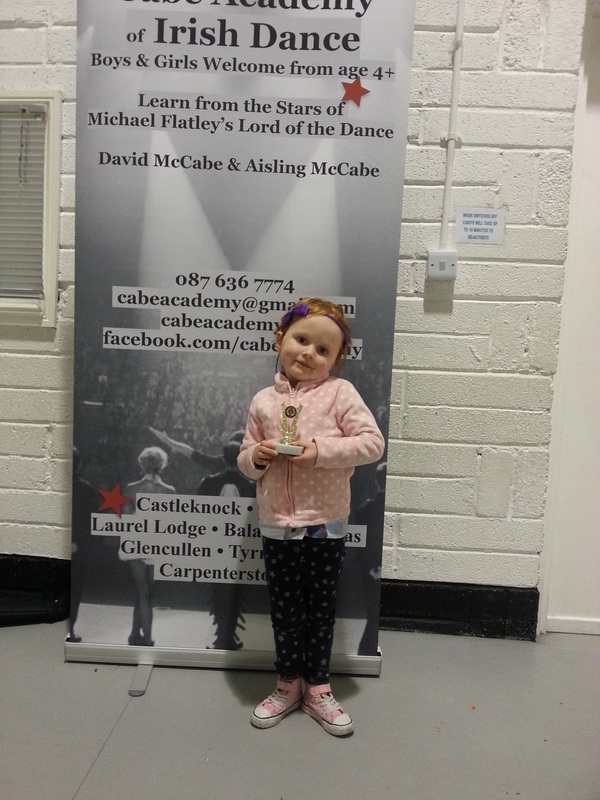 Keep up the amazing work, you are all little stars.